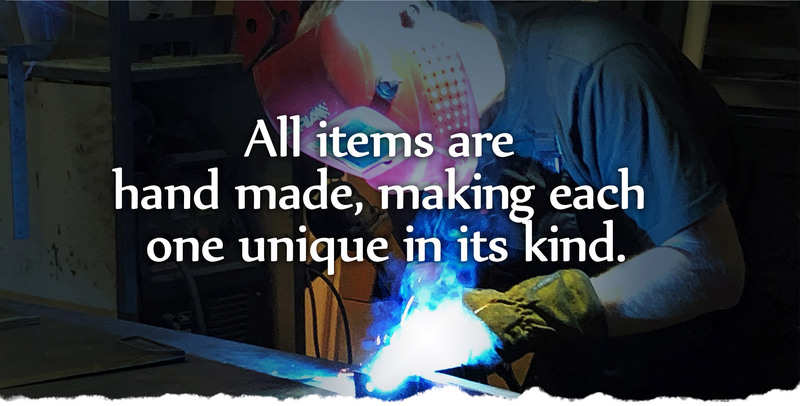 CALL OR E-MAIL US WITH YOUR IDEA OR WISHES! 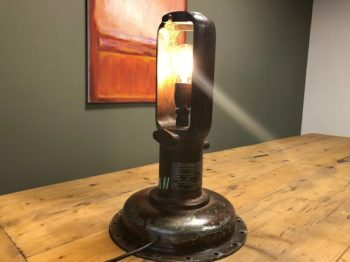 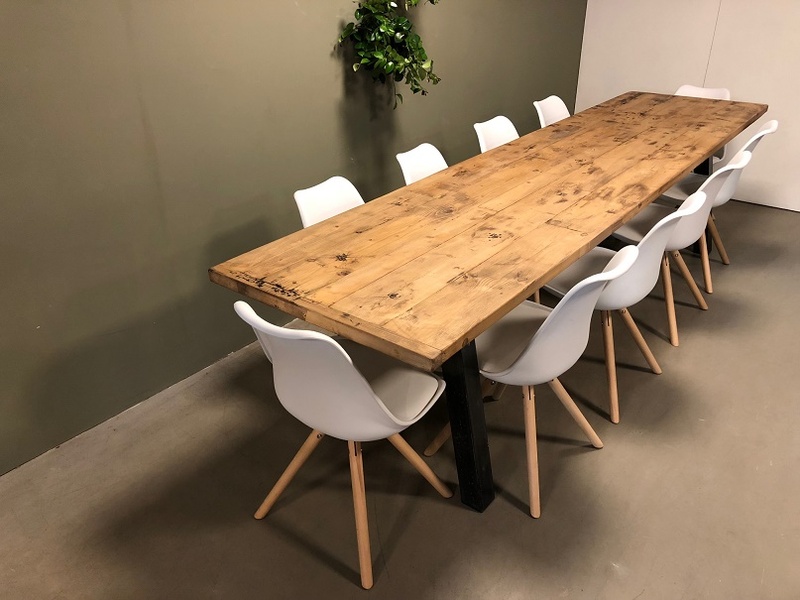 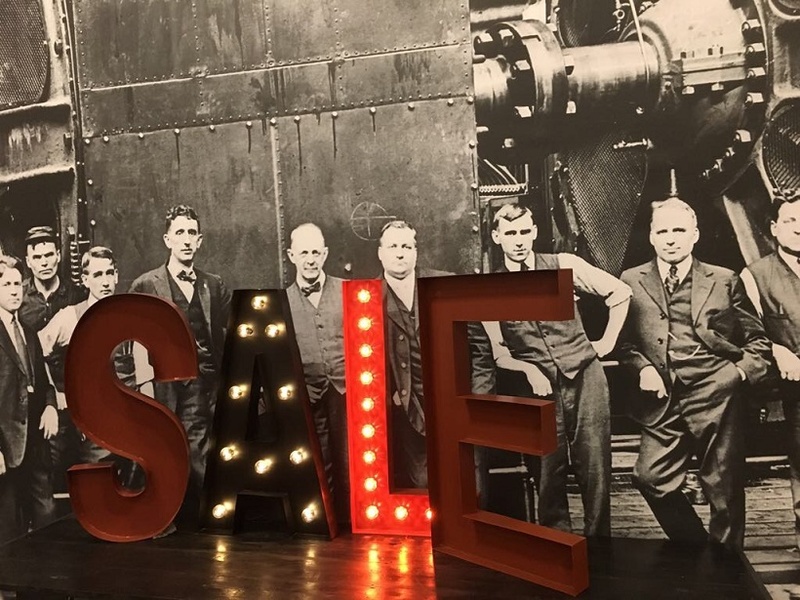 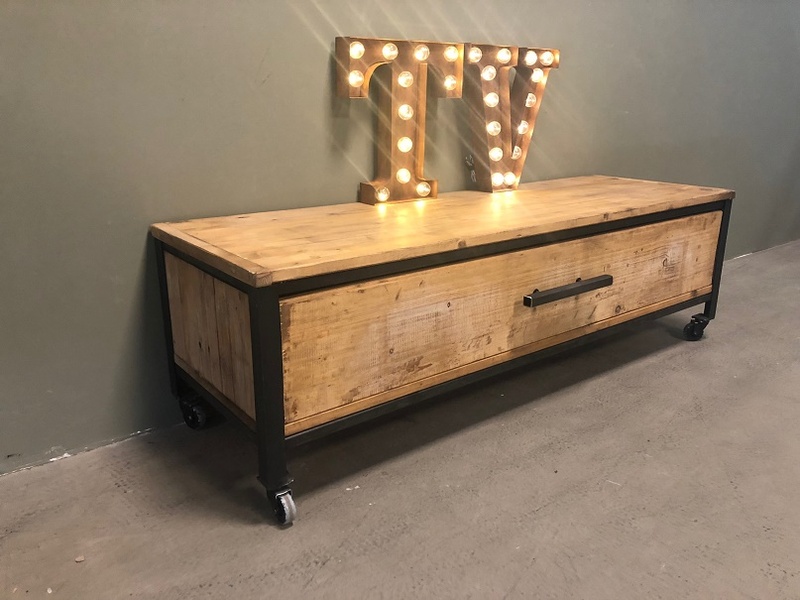 Are you looking for that one specific piece of furniture, or do you have an idea you would like to see carried out, then you have come to the right place! 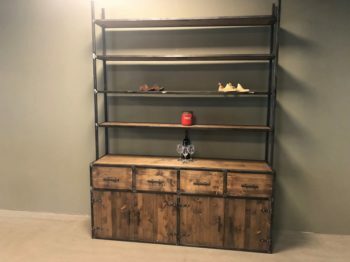 Different sizes closed cupboards from recycled or new wood and steel. 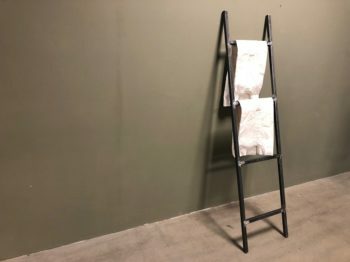 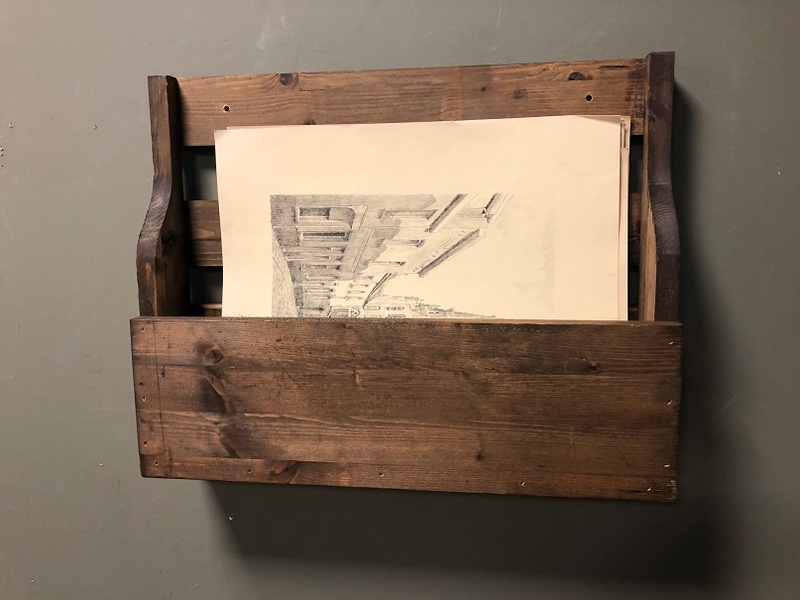 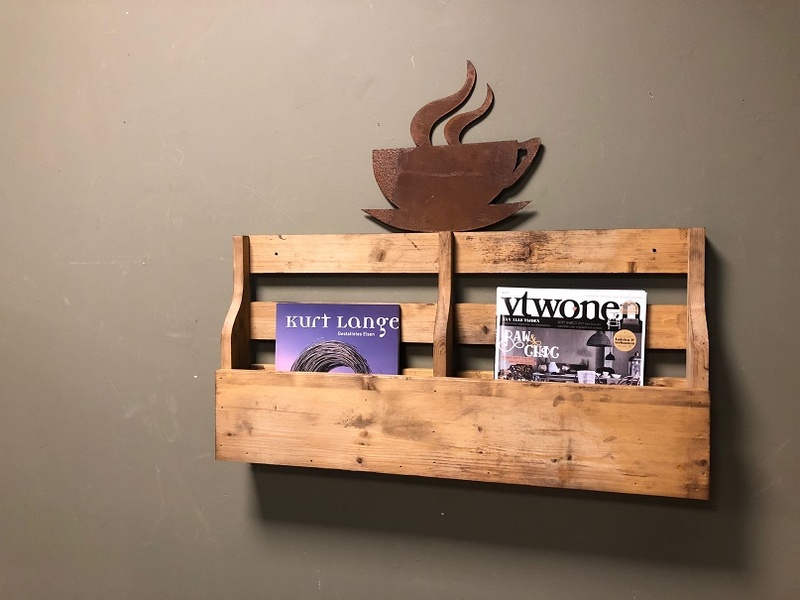 Different kind of recycled wooden magazine / newspaper holders . 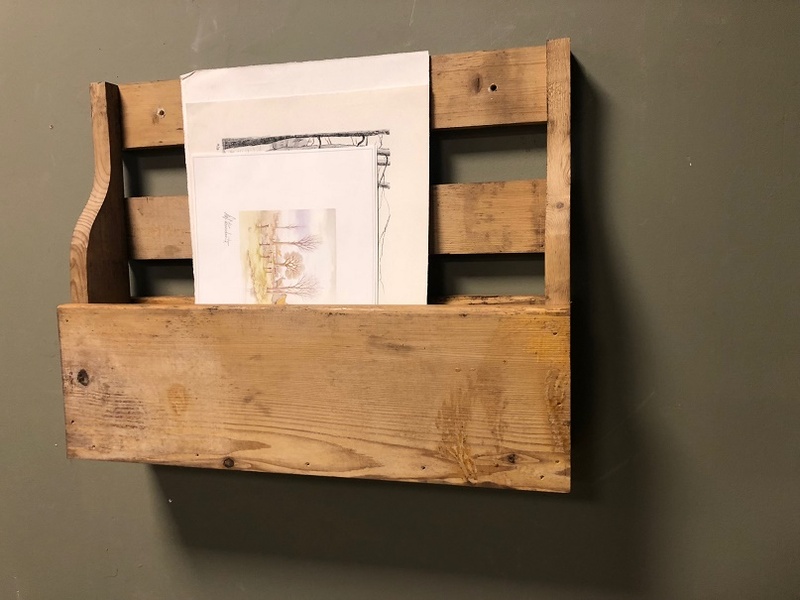 Wall or standing recycled wooden newspaper / magazine holders in different designs. Desks with or without PC compartment in recycled or new wood and in different sizes. 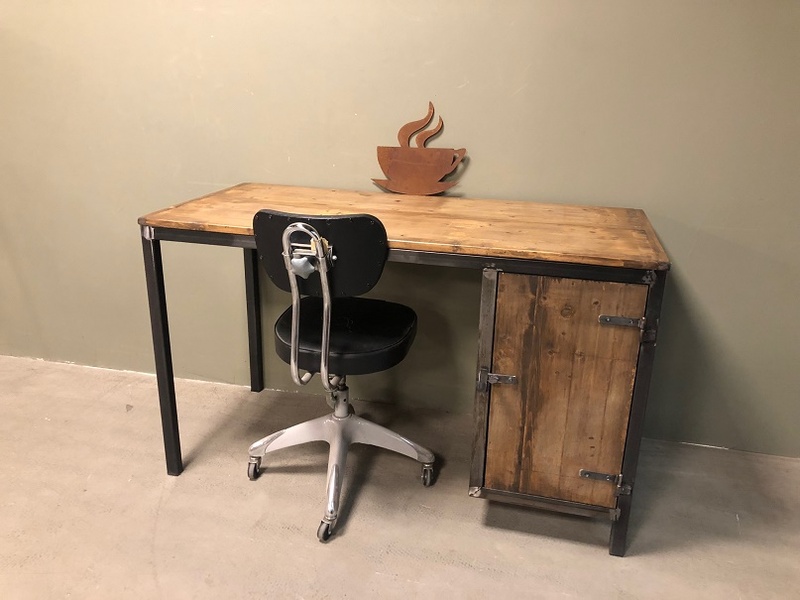 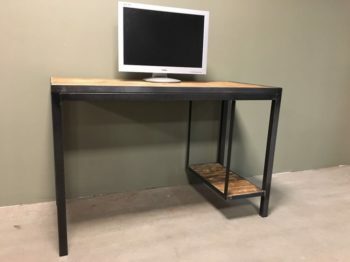 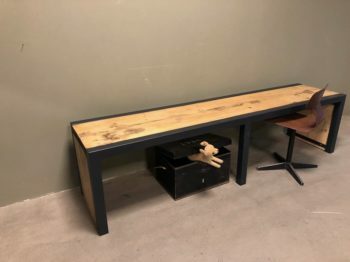 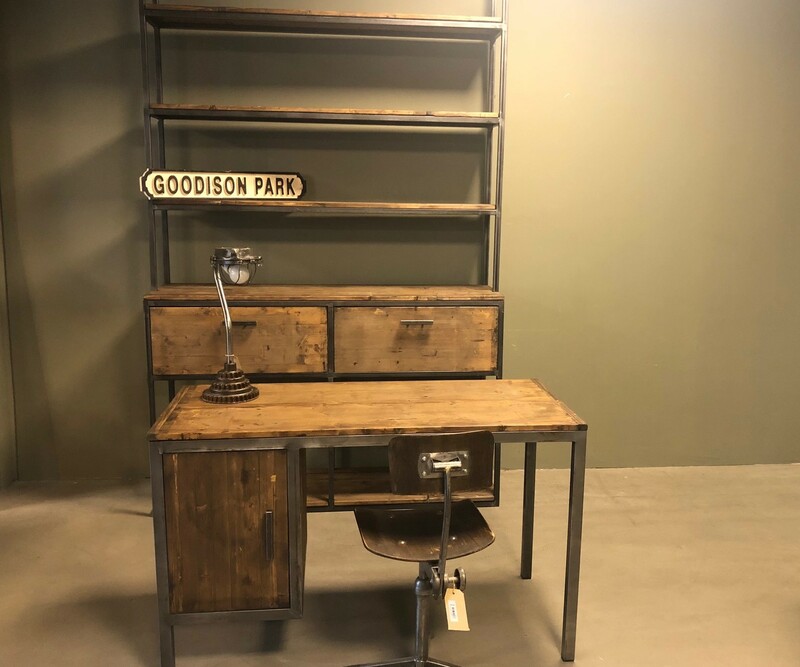 Industrial desks in recycled wood with closed compartment in different sizes. 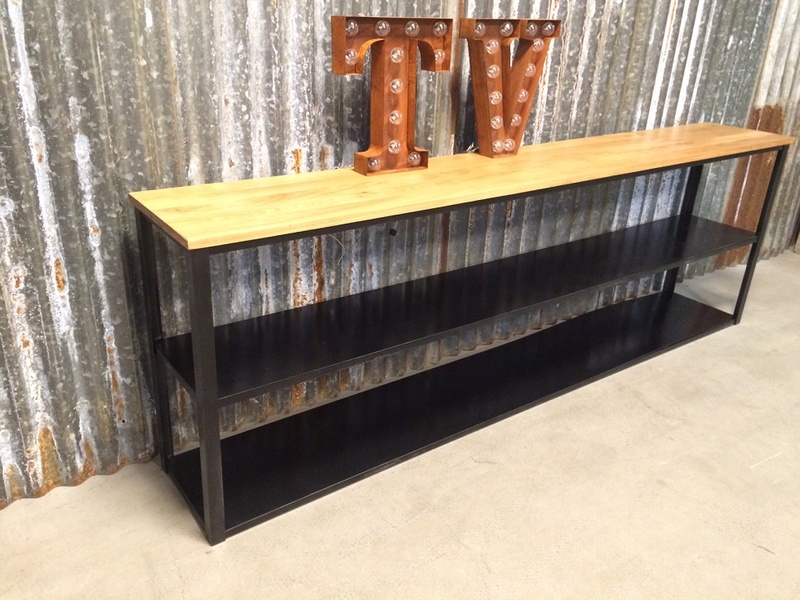 Open model shape TV stands with different sizes and wood op steel hairpin legs. 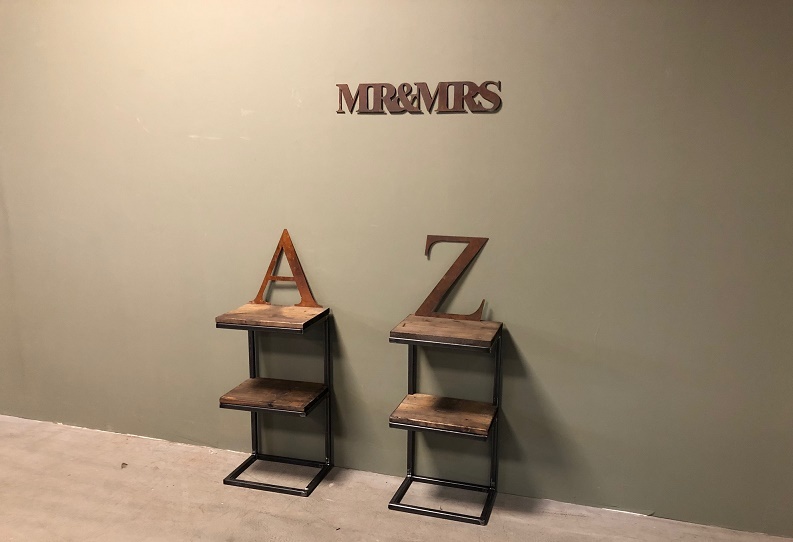 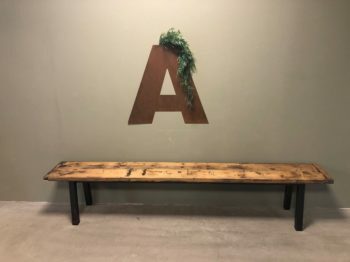 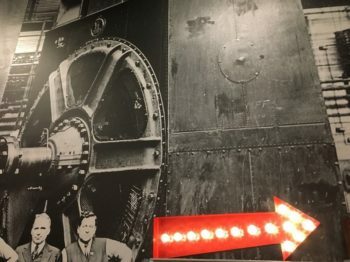 Large metal letters with or without lighting. 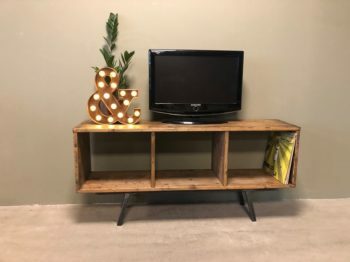 Open model shape TV stands with different sizes and wood. 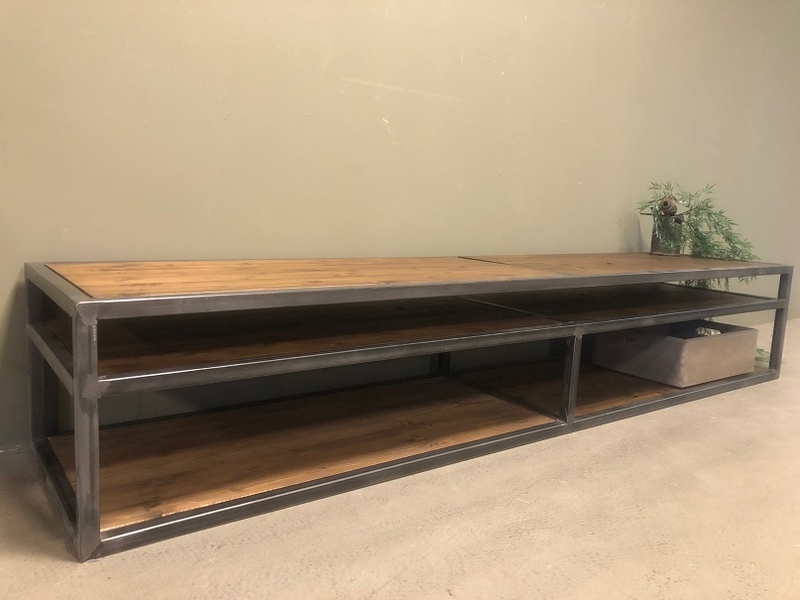 TV stands in new oak and steel shelves. 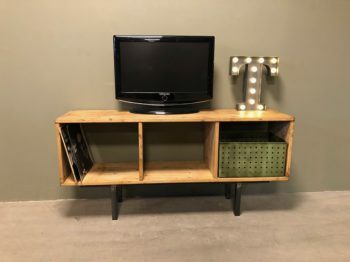 Different sizes recycled wooden TV cupboards with compartments. 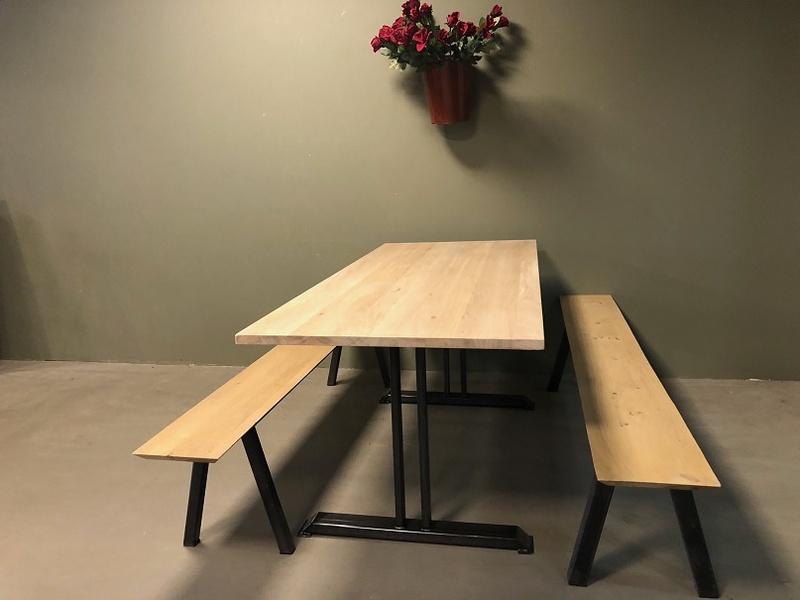 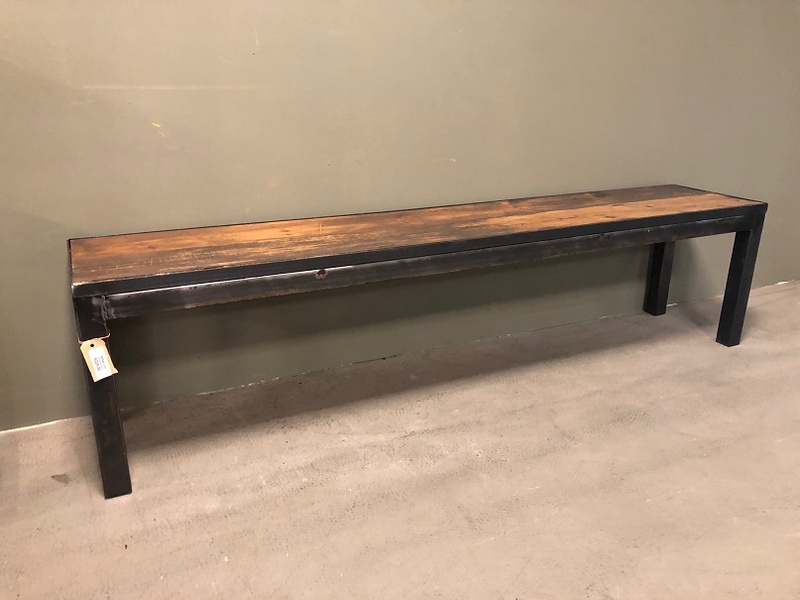 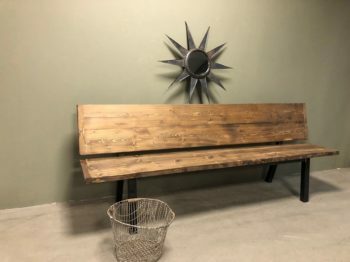 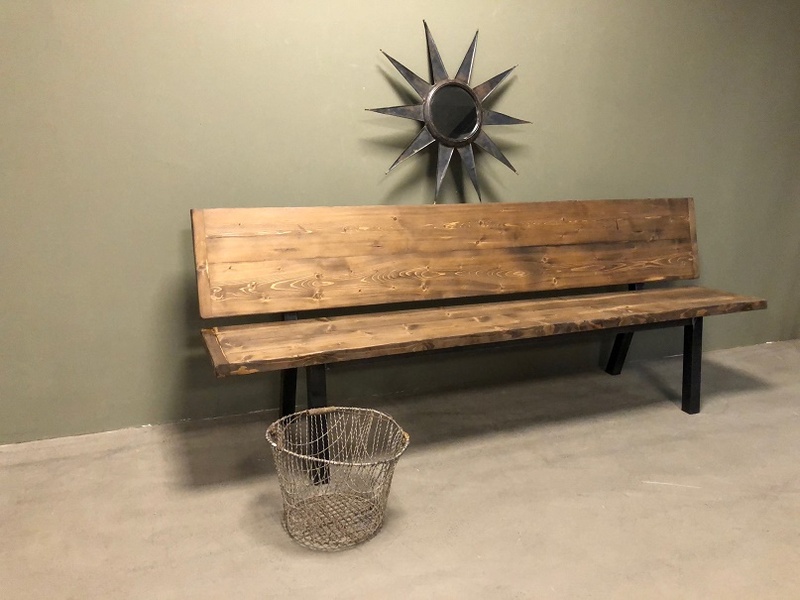 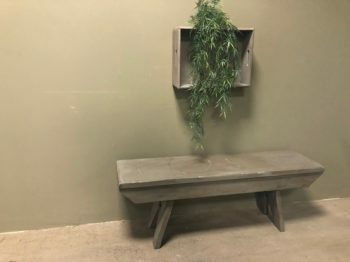 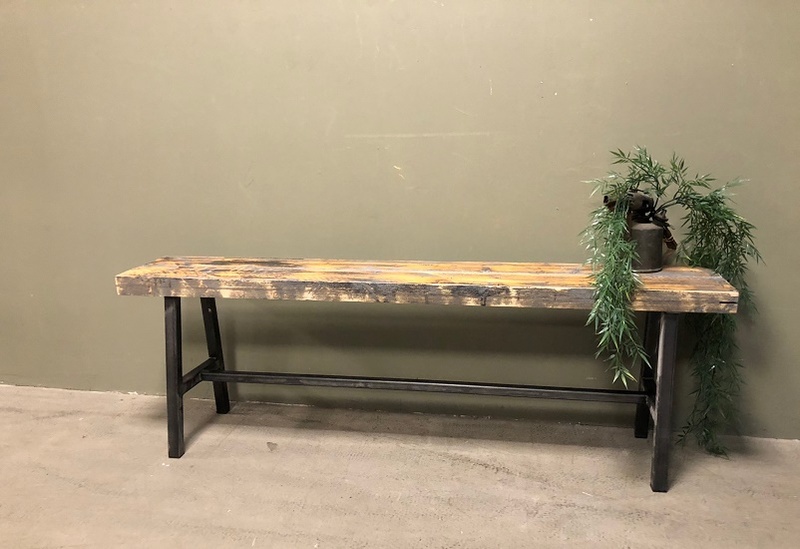 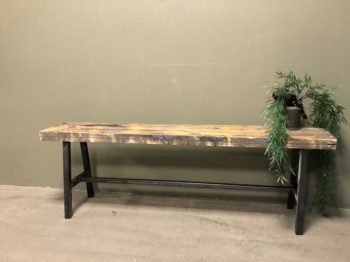 Industrial steel benches with different sizes and wood. 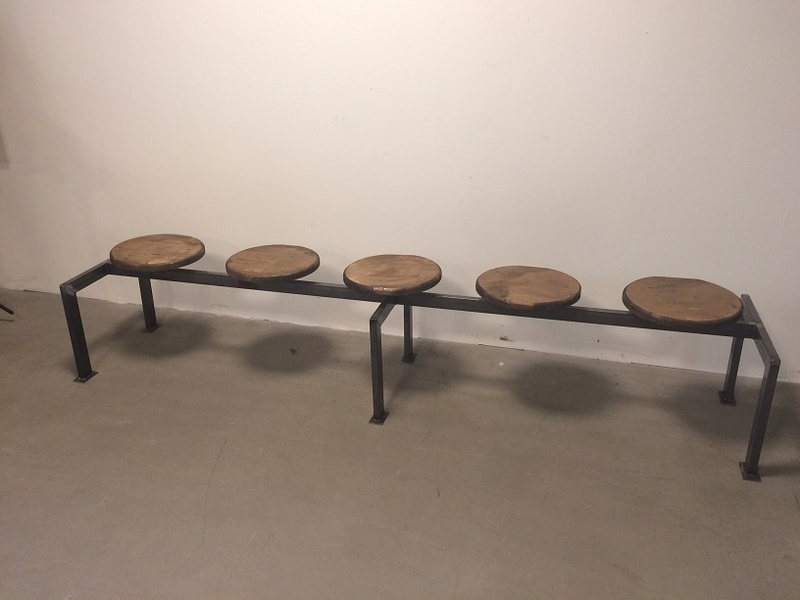 New oak bench with steel legs. 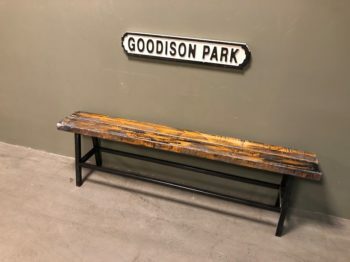 Strong wooden benches from recycled wood in different colours. 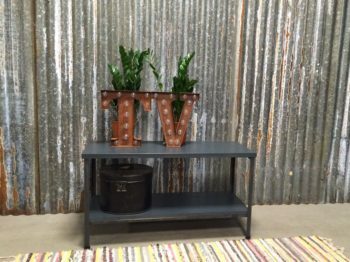 Low model TV cupboards in steel and different colours, sizes and recycled or new wood. 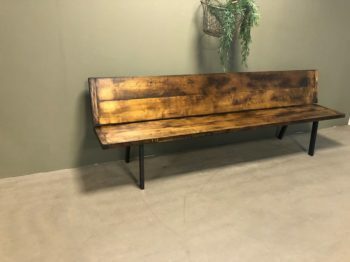 Wooden benches in different sizes and colours from new wood. 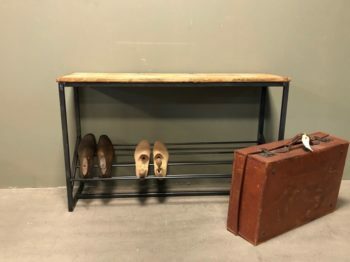 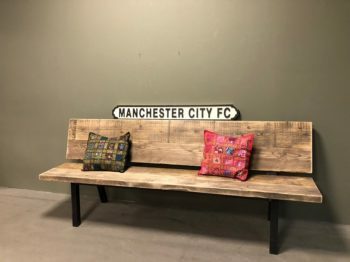 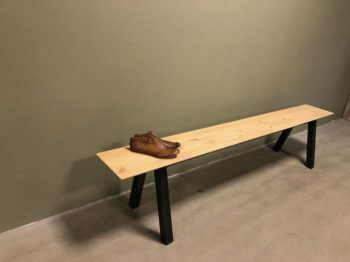 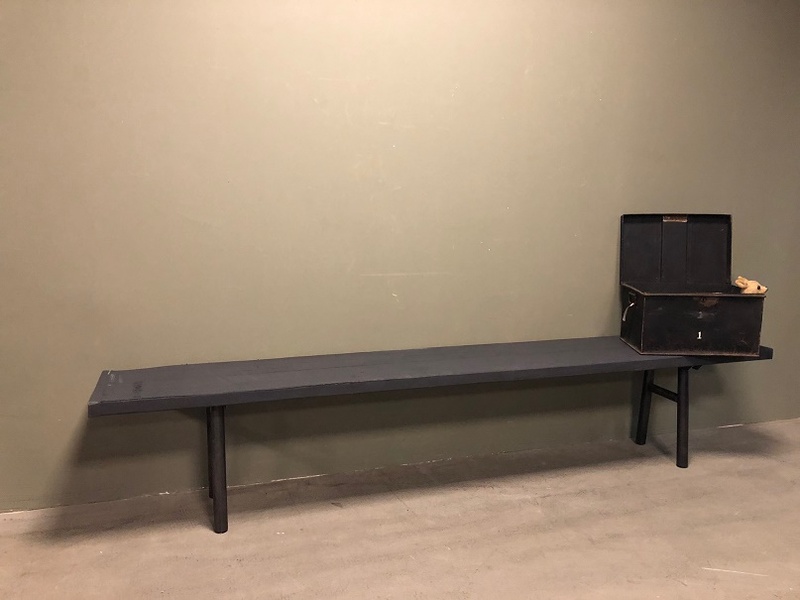 Steel benches with shoe rack and recycled or new wood seat. 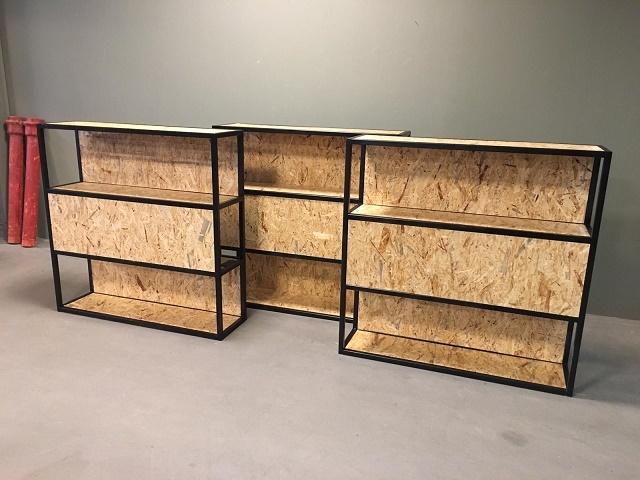 Sleek open TV stands in different colours, sizes and recycled or new wood. 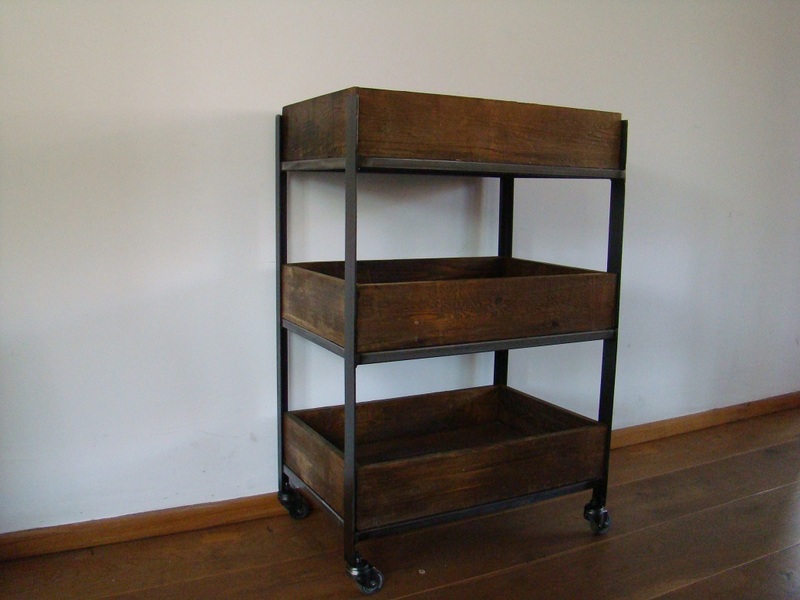 Industrial trolleys , can be made to size, also possible with short text. 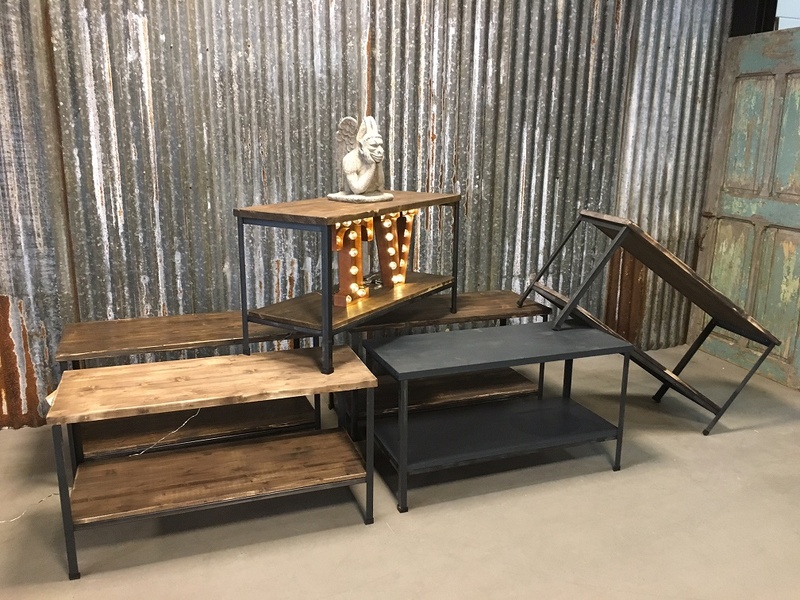 Children's play tables in different sizes and shapes. 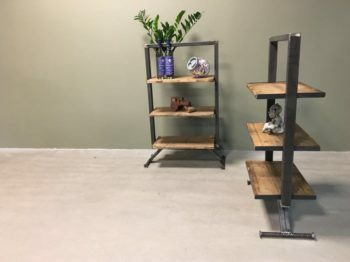 Small sidetables with shelves, can be made in different colours and sizes. 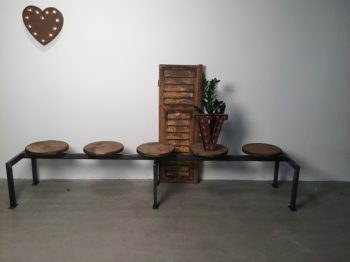 Sidetables with steel hairpin legs and oak or recycled wooden top in different sizes. 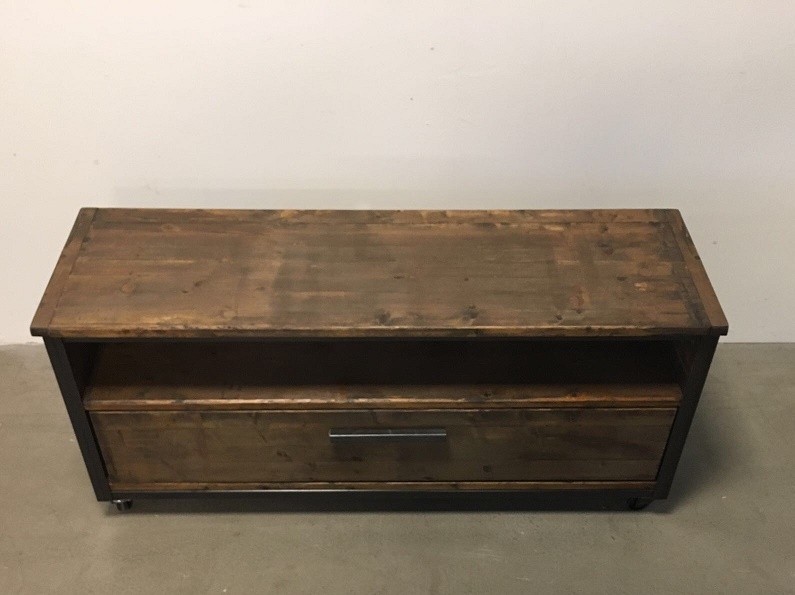 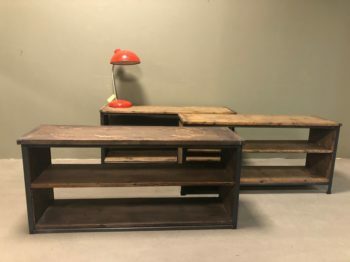 TV stands from recycled or new wood with a interior in different levels. 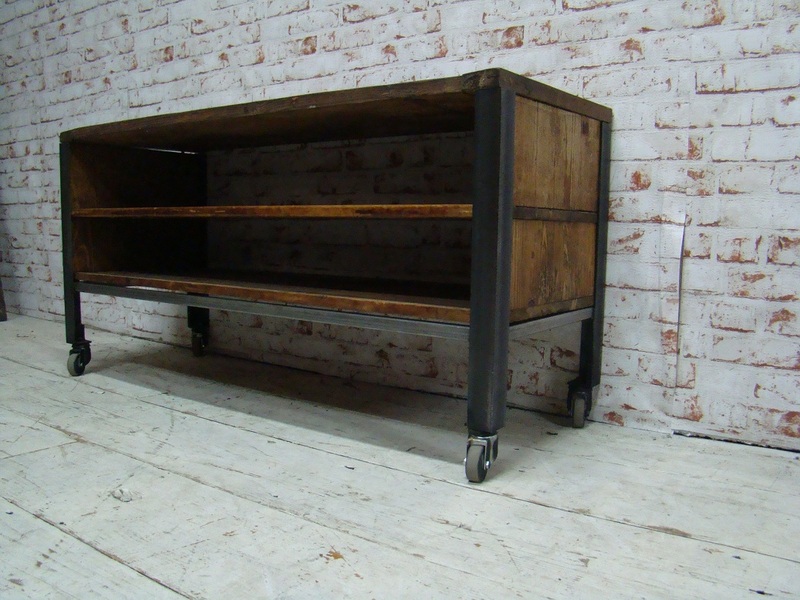 Industrial TV cupboards on wheels or without and different sizes, colours and layout. 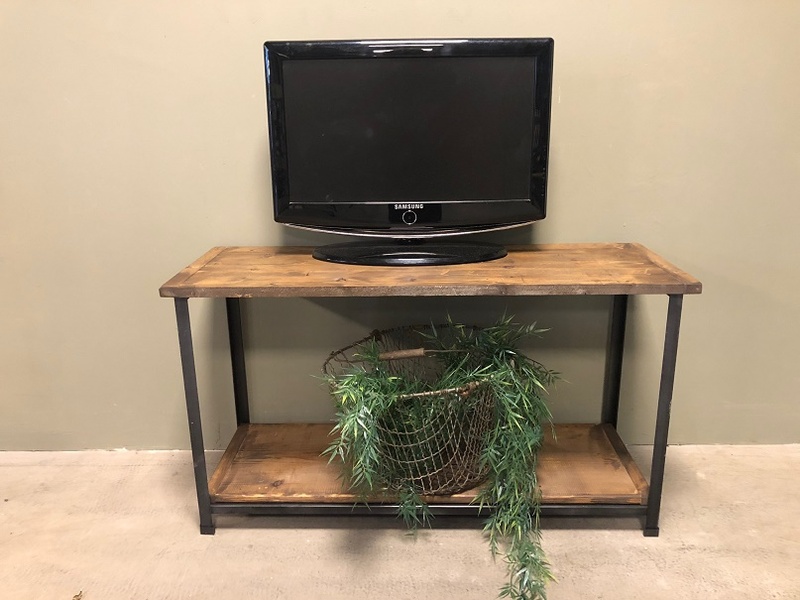 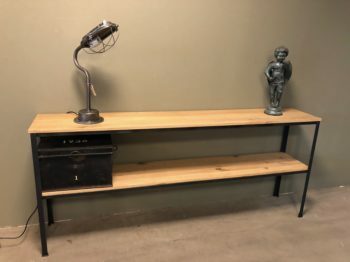 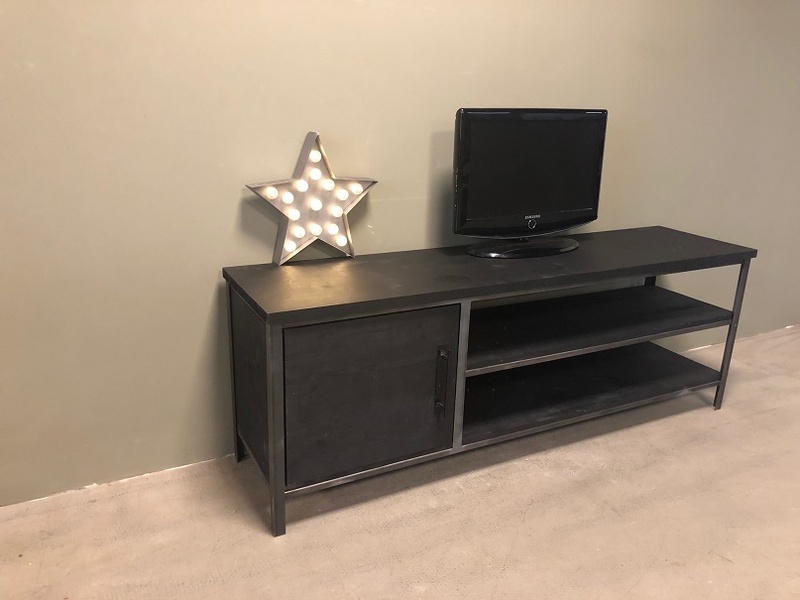 Low model TV stands in recycled wood and steel. TV stands in new wood and various colours. 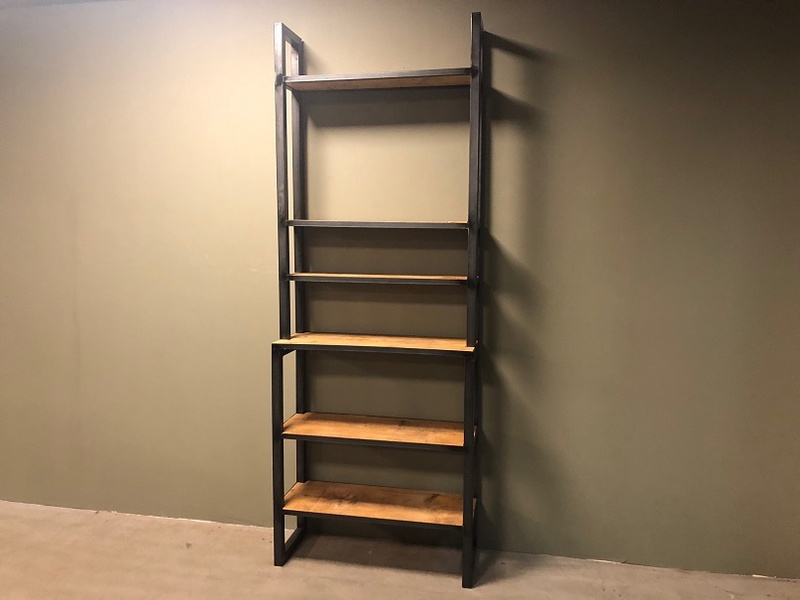 Bookcases with or without closed space. 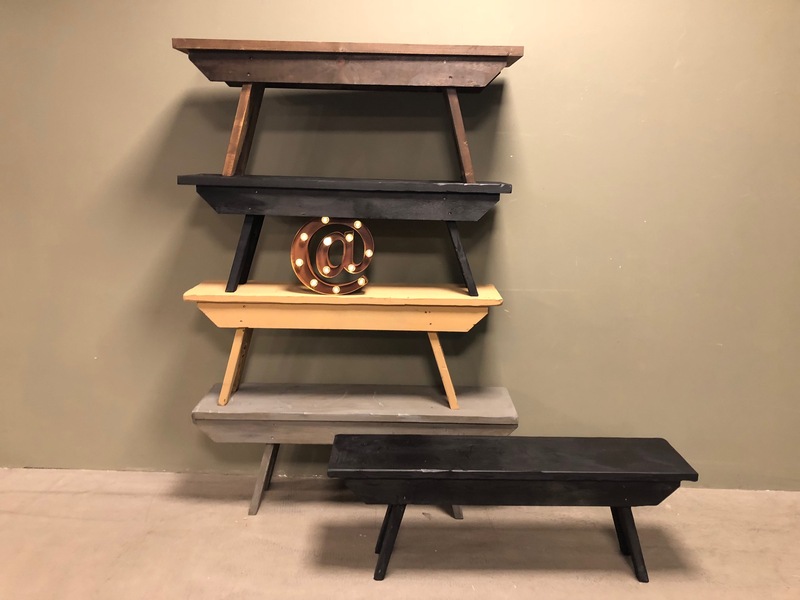 Industrial shelves in different sizes. 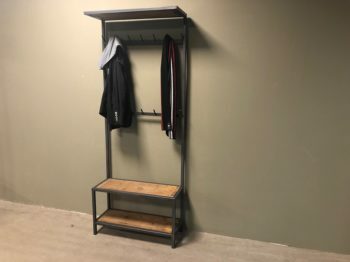 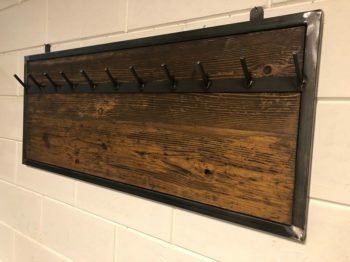 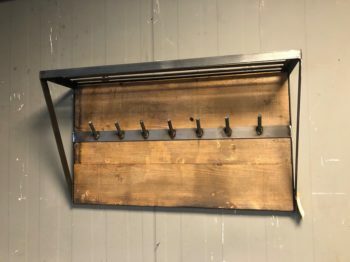 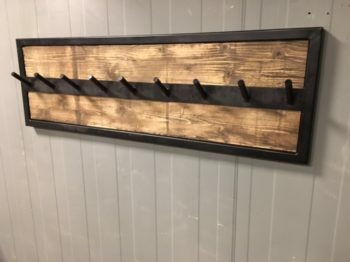 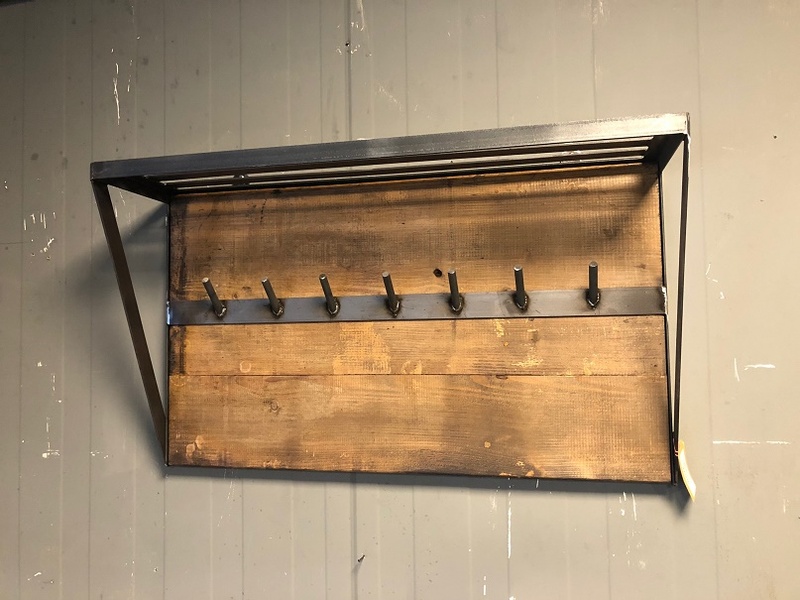 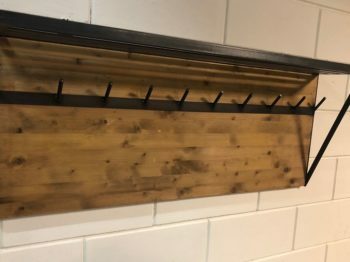 Industrial wall coat racks from recycled wood and steel. 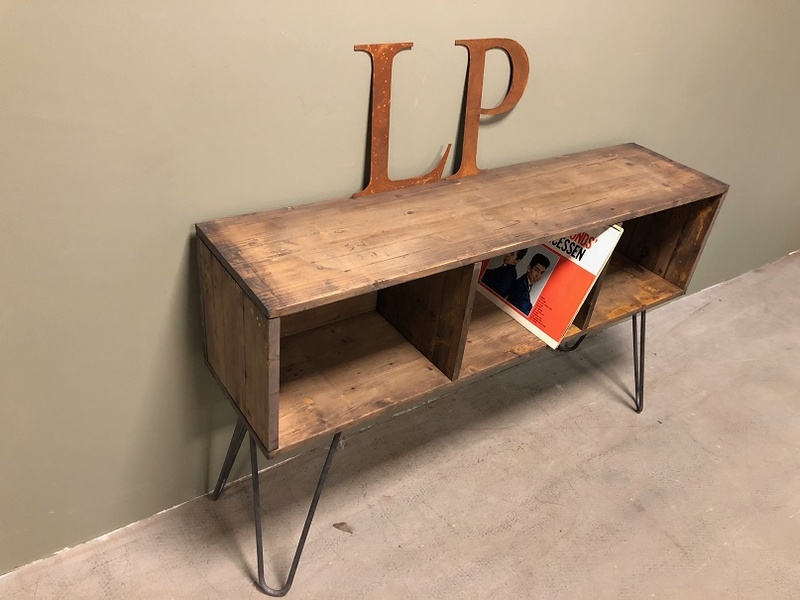 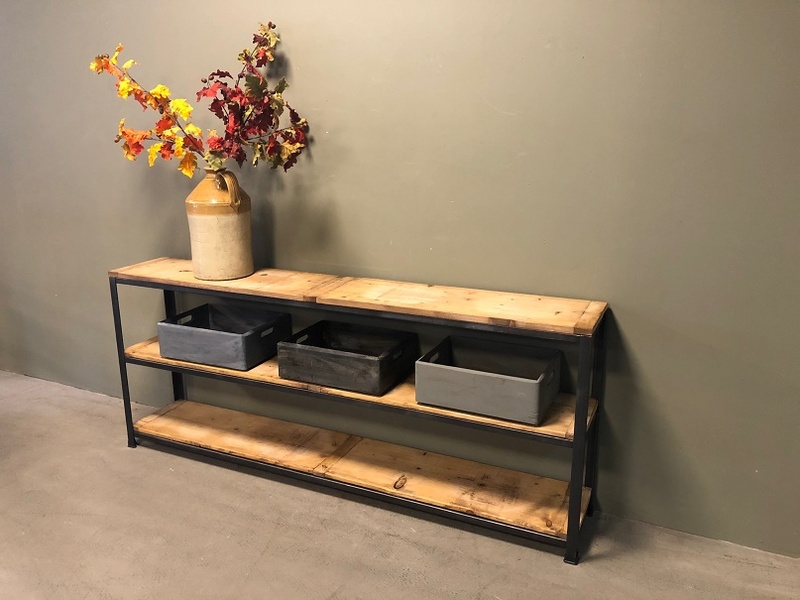 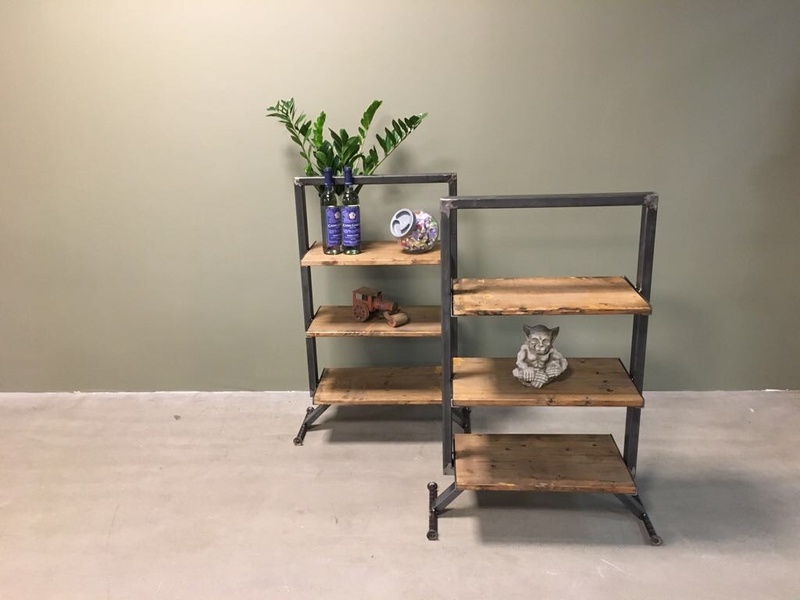 Industrial bookcases from recycled or new wood. 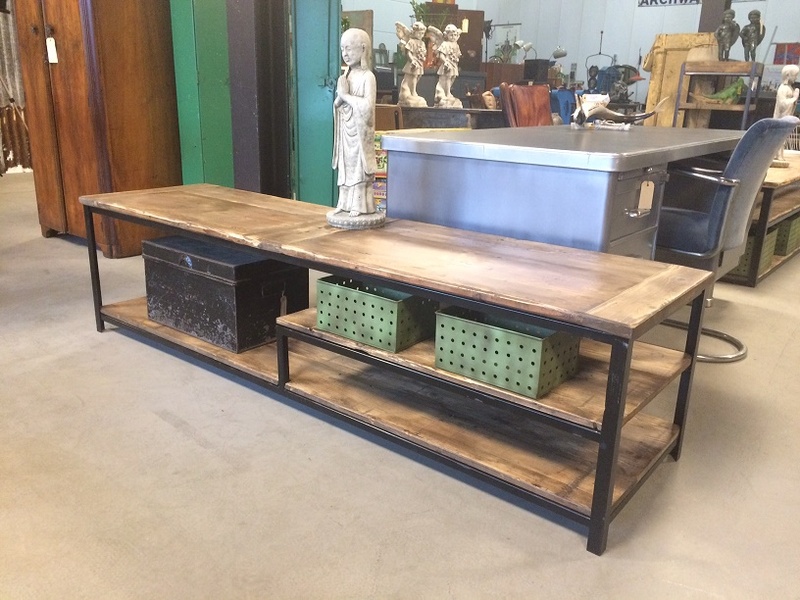 Side-tables with beach wood shelves and steel frame. 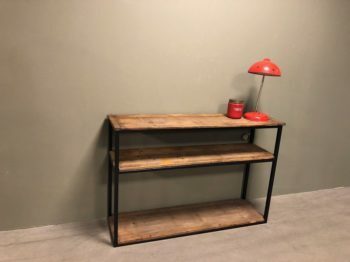 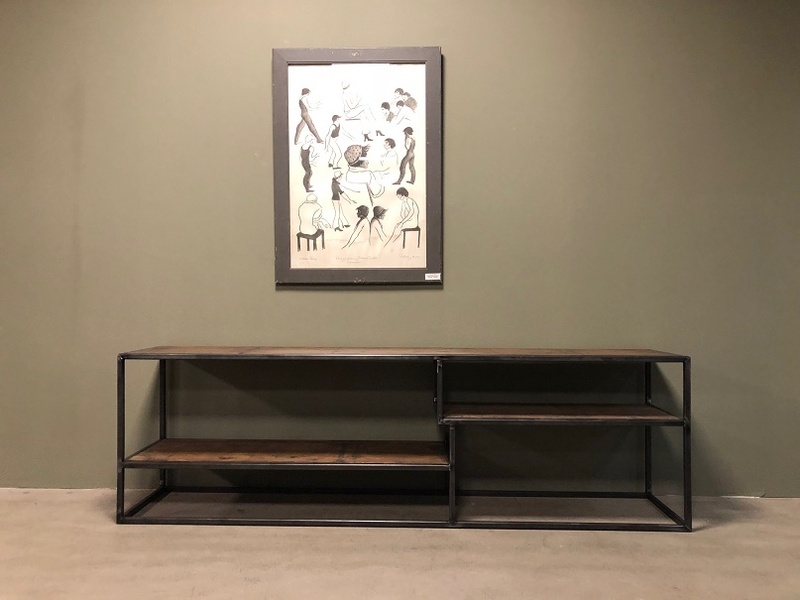 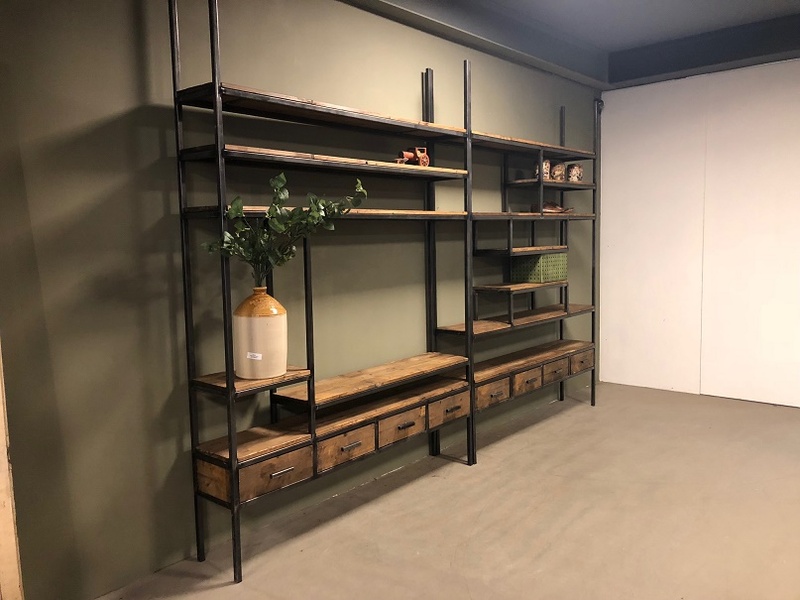 Industrial bookcases with steel frames and wooden shelves. 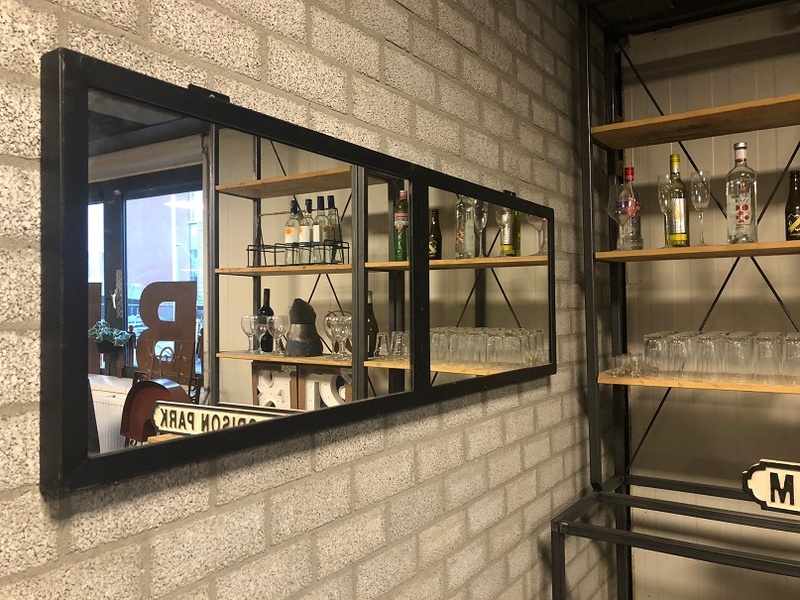 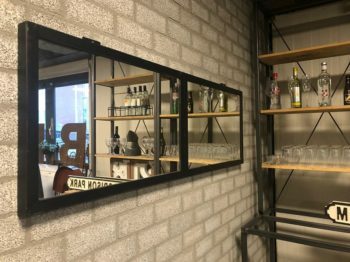 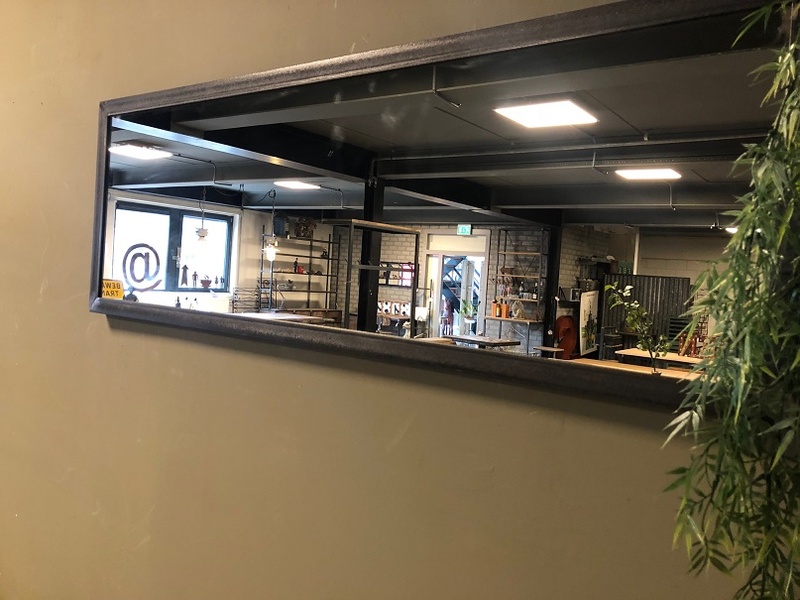 Industrial mirrors with steel frame. 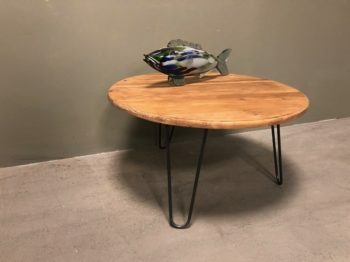 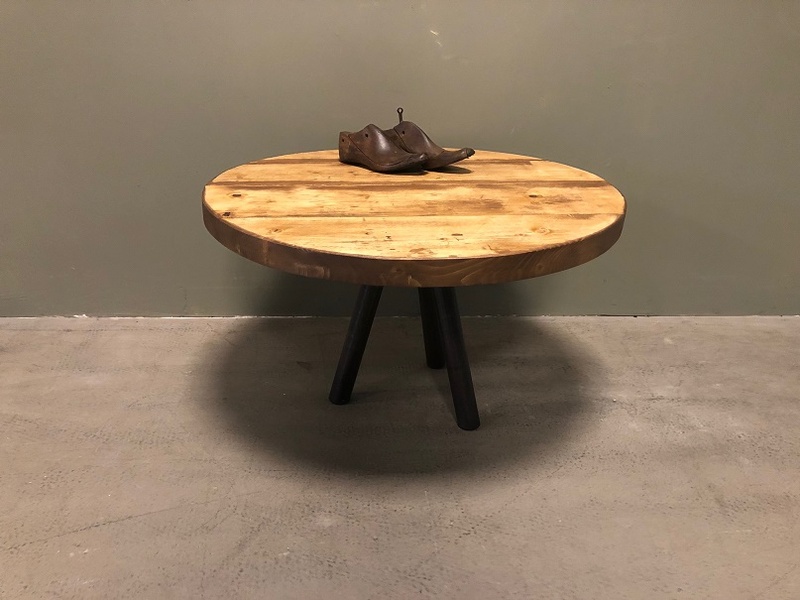 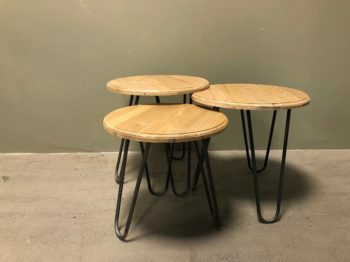 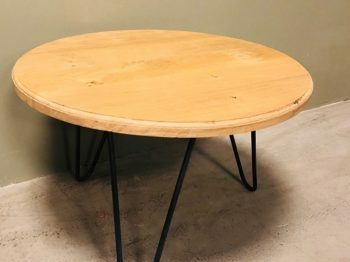 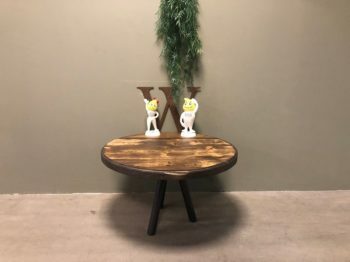 Round wooden tables with steel legs. 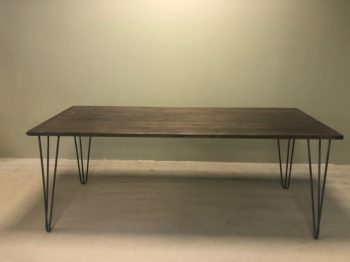 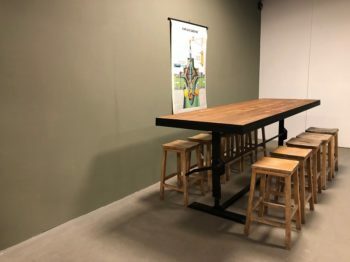 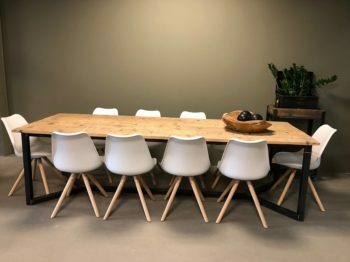 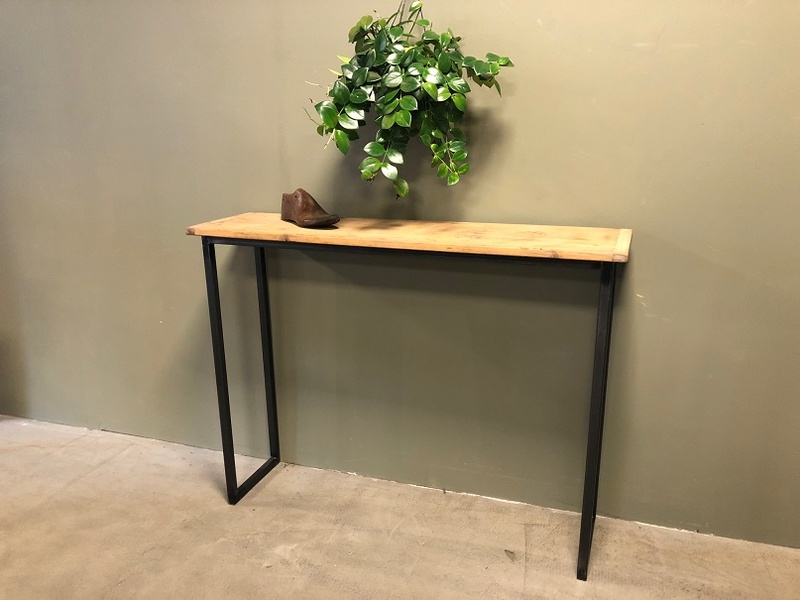 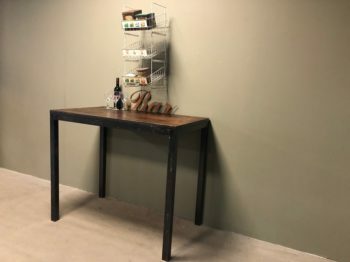 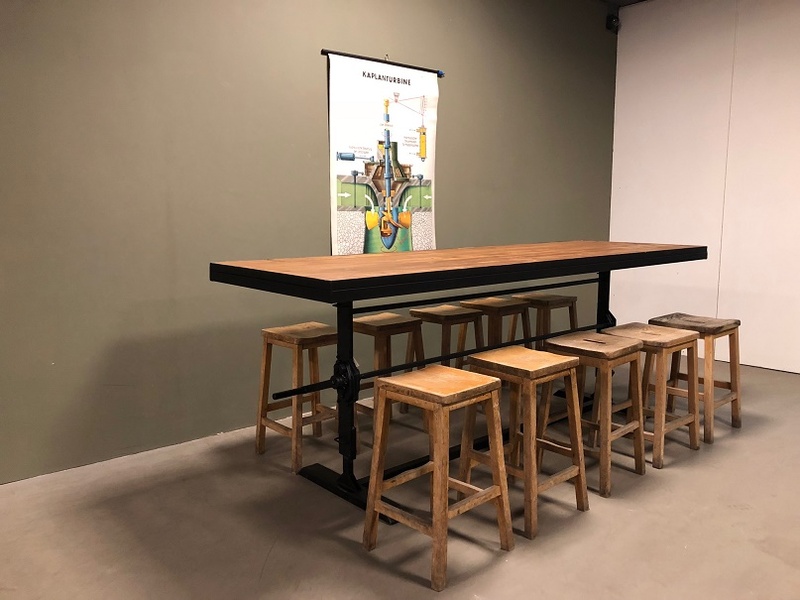 Industrial tables to order with different steel legs and sizes. 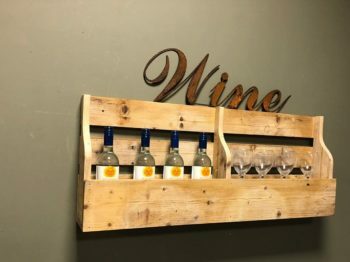 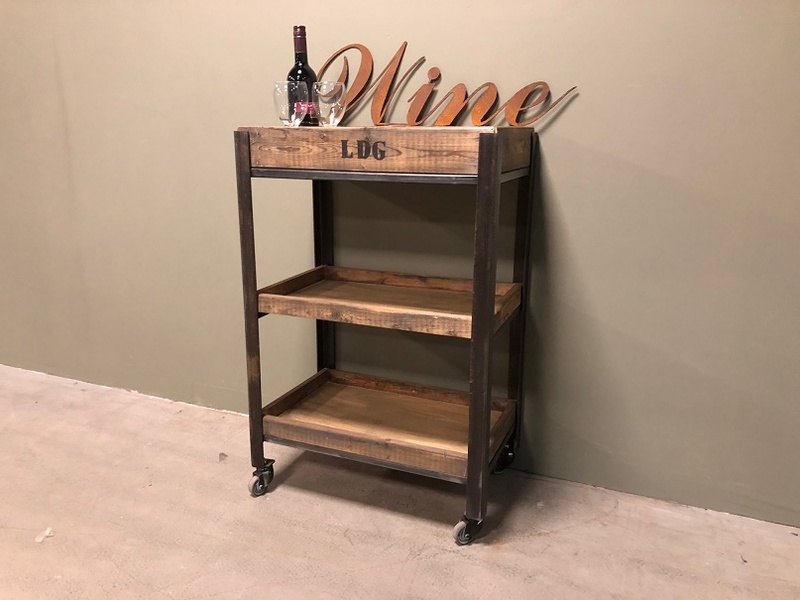 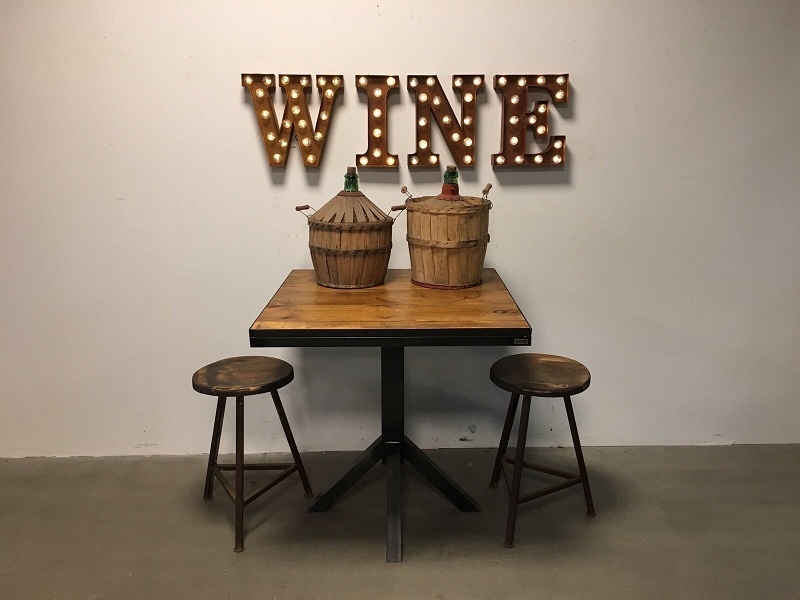 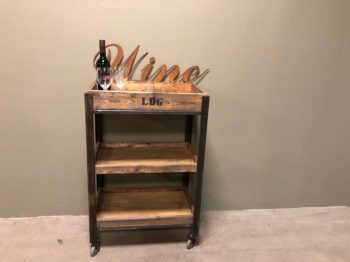 Wooden racks for wine, magazines or kitchenware. Industrial tables from recycled wood and steel frame. Side tables in different sizes and colours. 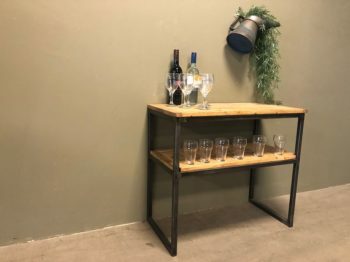 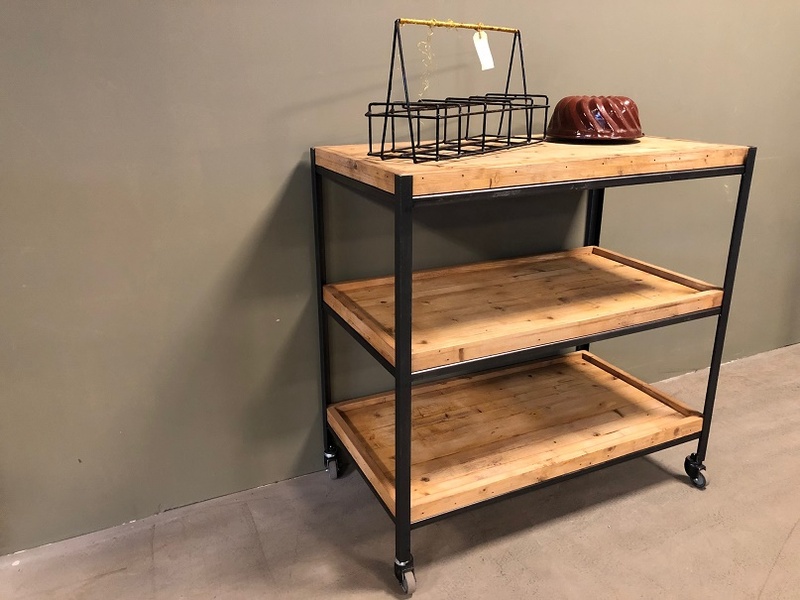 Industrial trolley with deep trays from new wood. 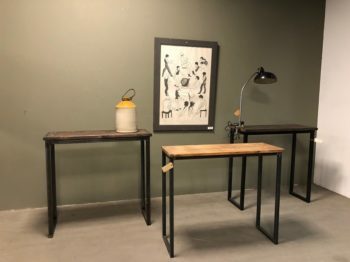 Industrial tables with four steel legs and recycled wooden tops. 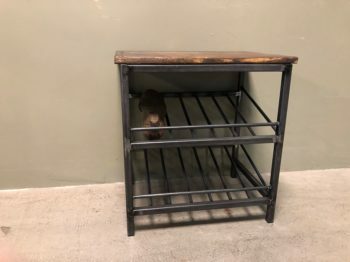 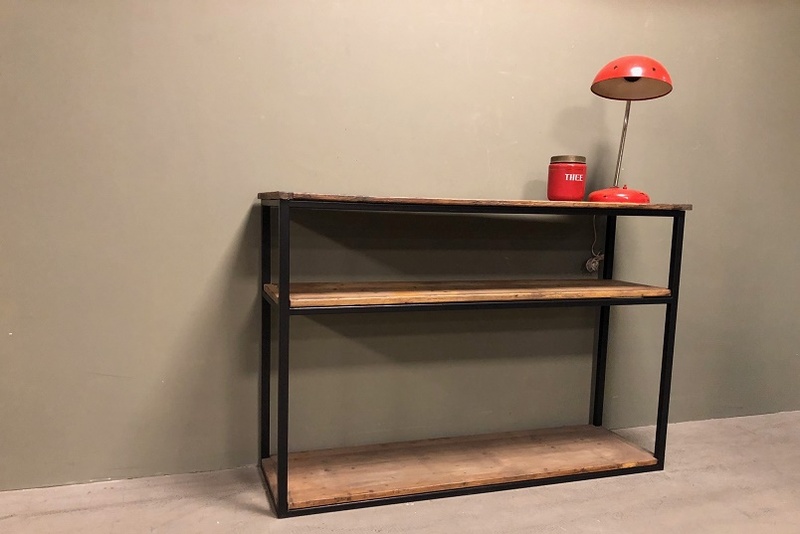 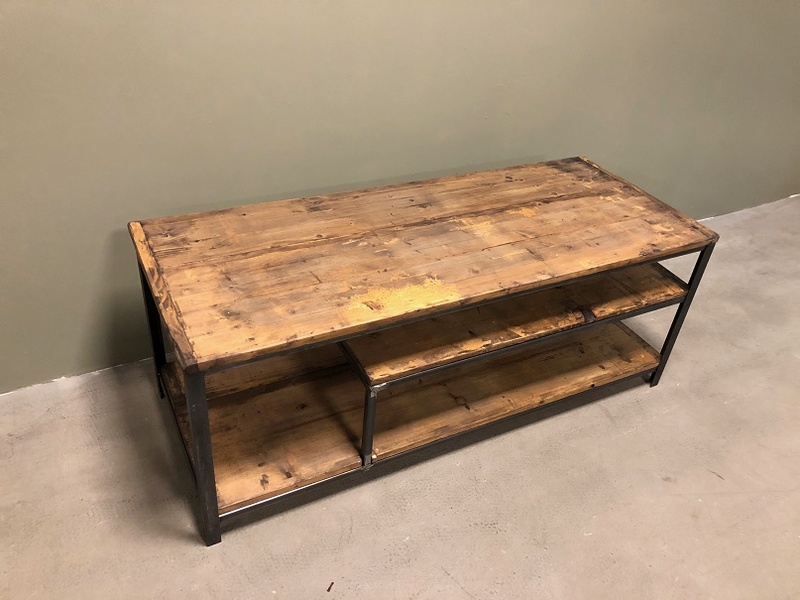 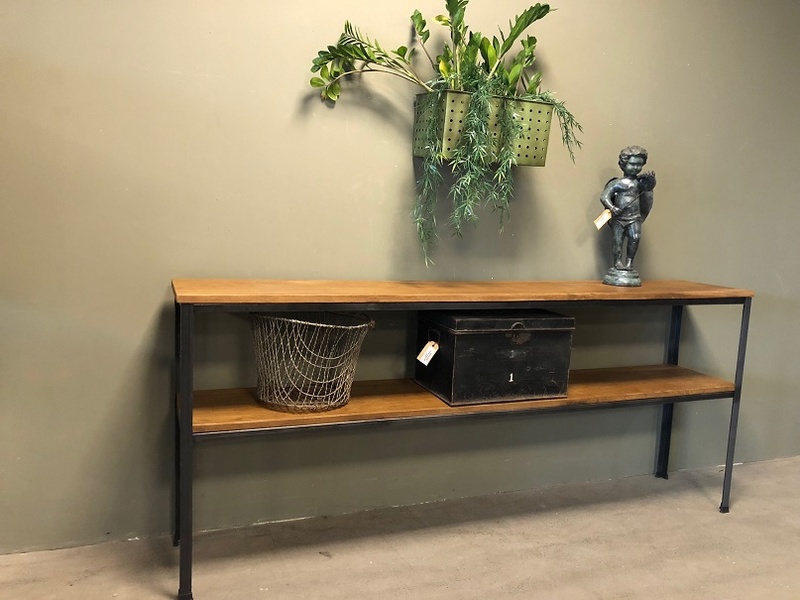 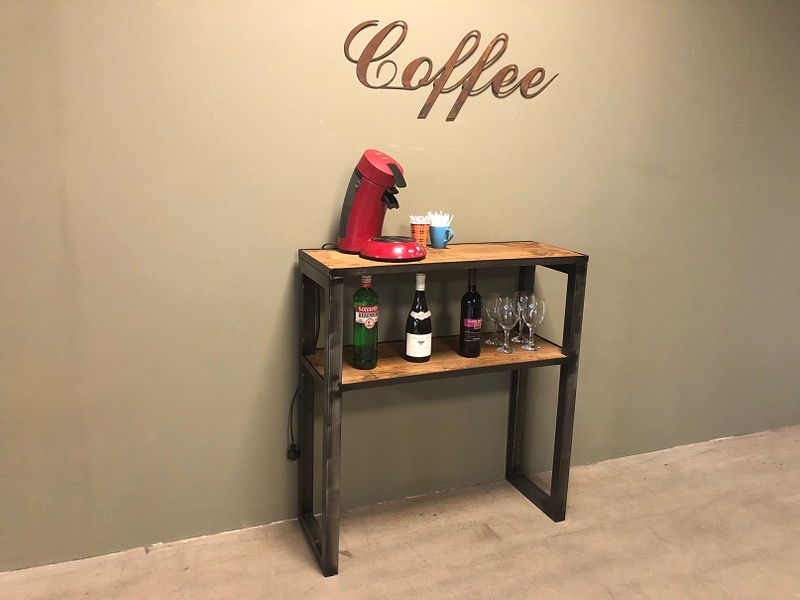 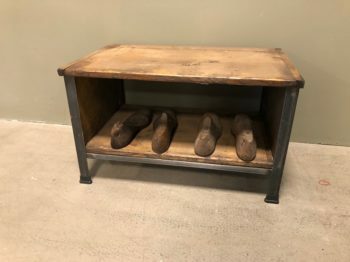 Industrial sidetable with extra shelve. 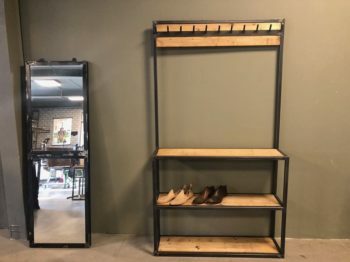 Steel frame and shelves from new or recycled wood. 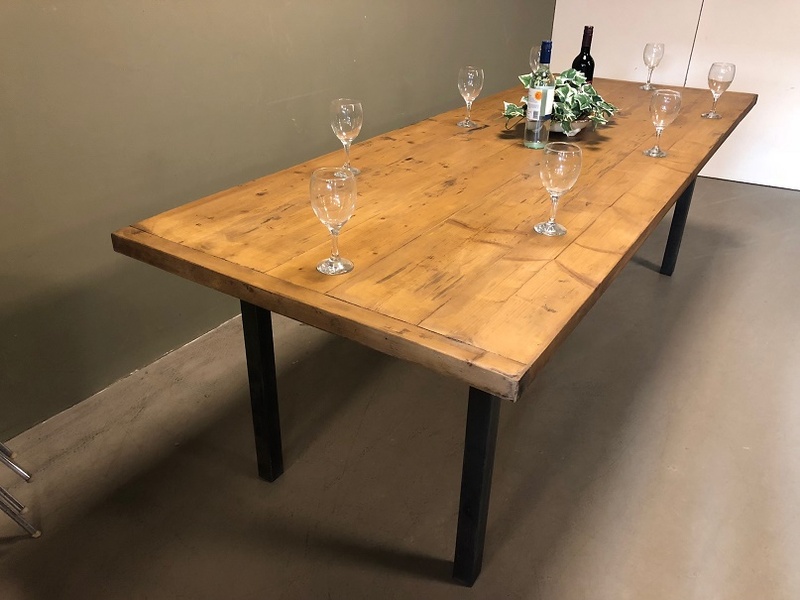 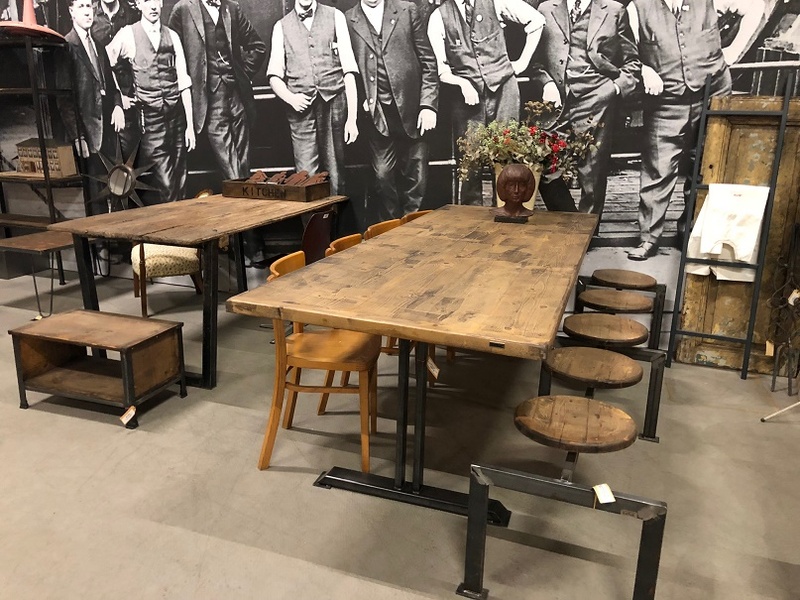 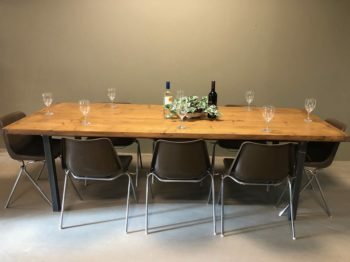 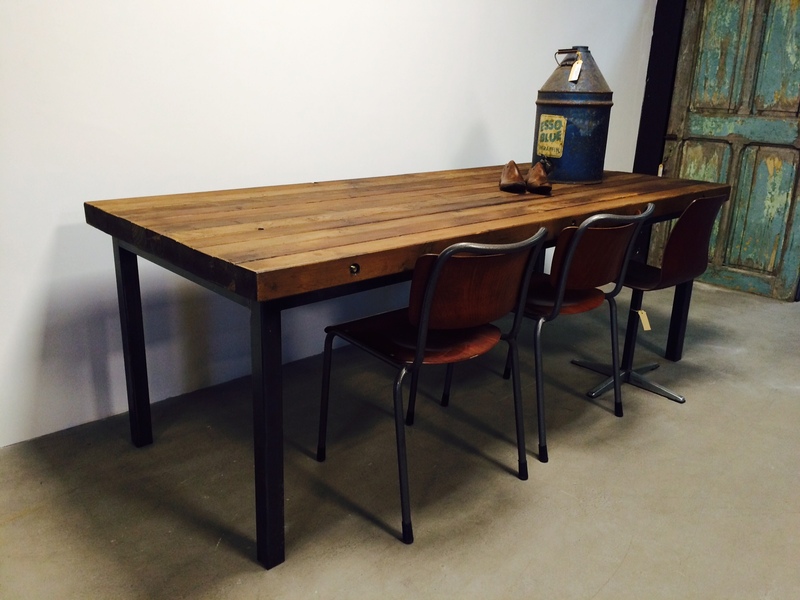 Industrial tables with new oak top and steel frame. 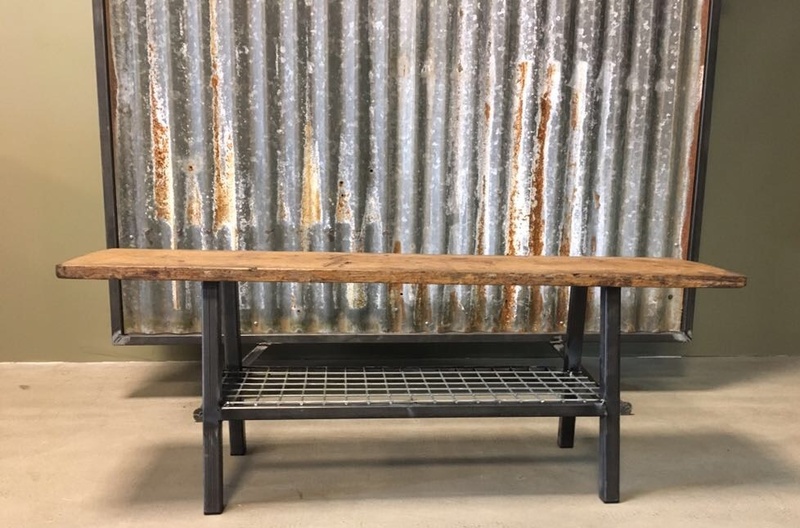 Industrial tables from recycled wood in a heavy steel frame. 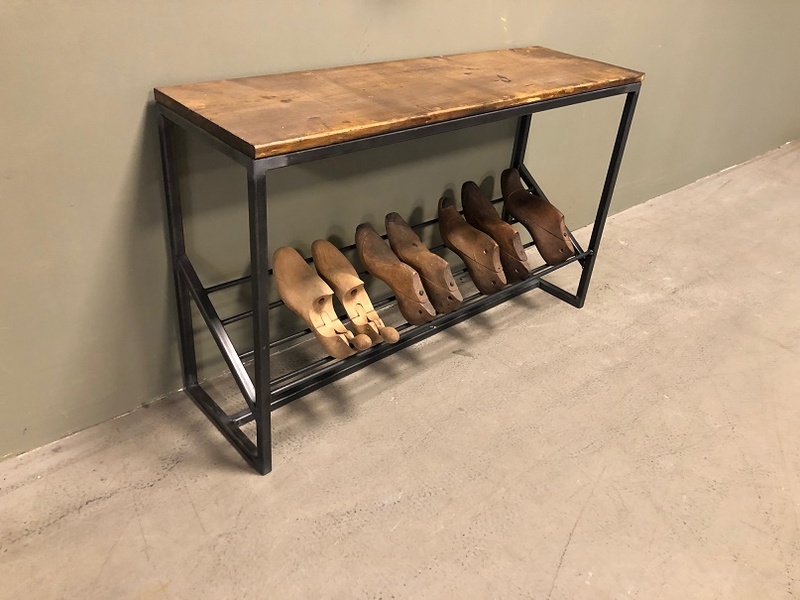 Shoe racks with recyceld wooden shelves and steel racks. Unusual adjustable height industrial Crank tables. 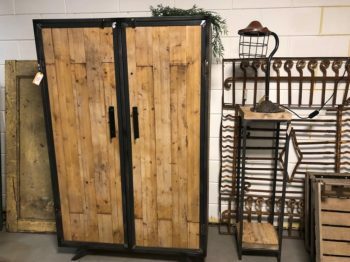 Industrial steel and recycled wood closed wardrobes. 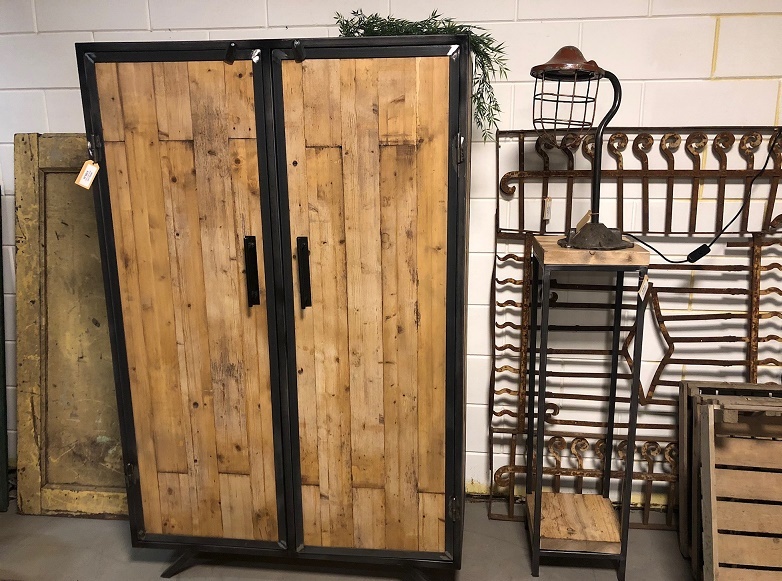 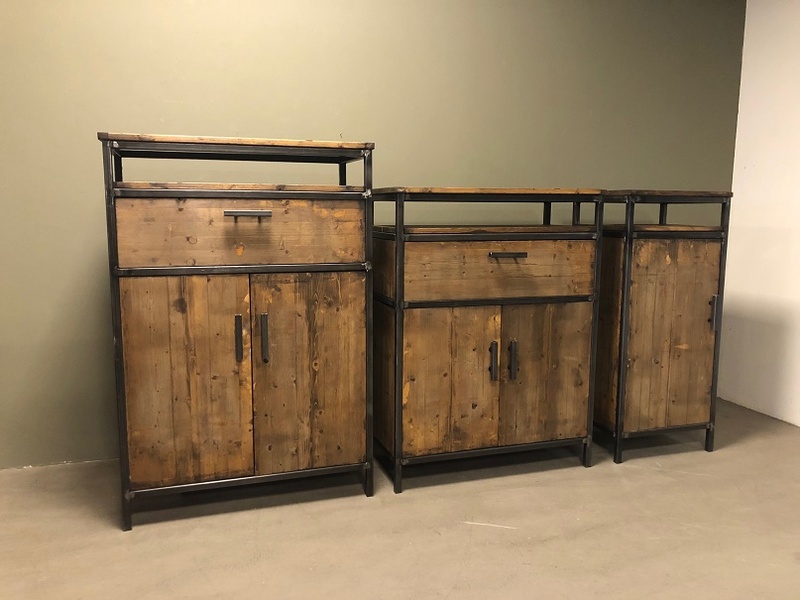 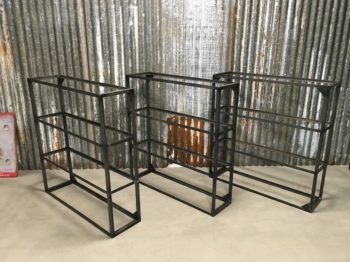 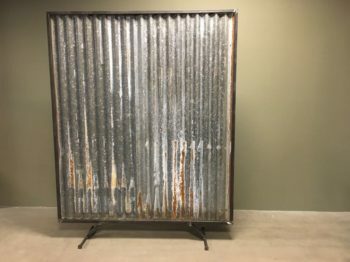 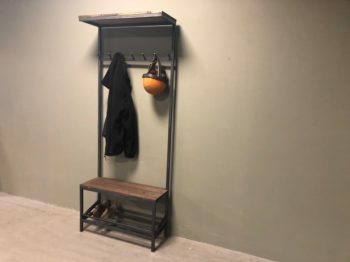 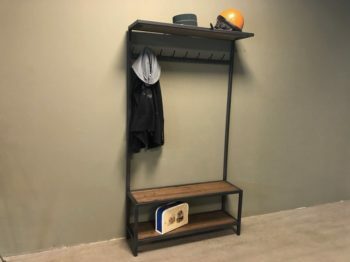 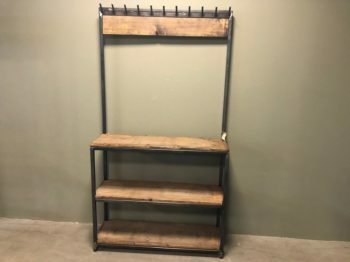 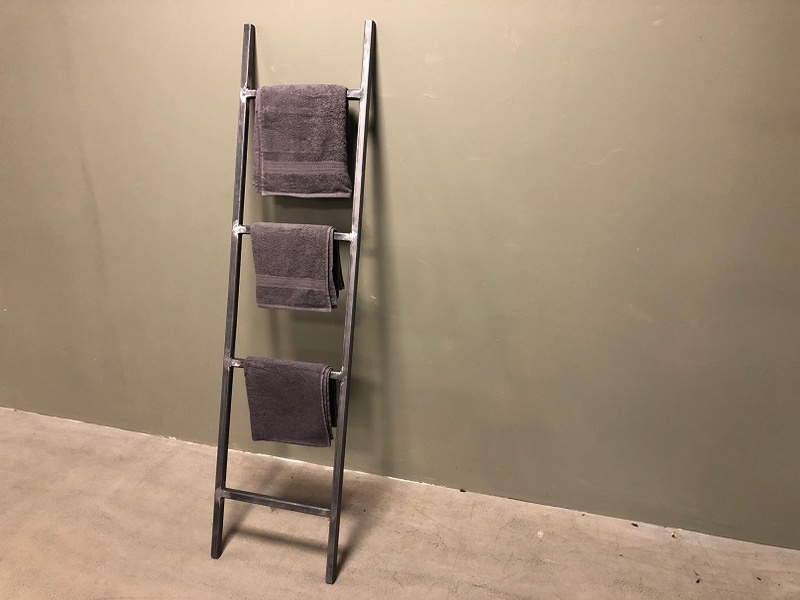 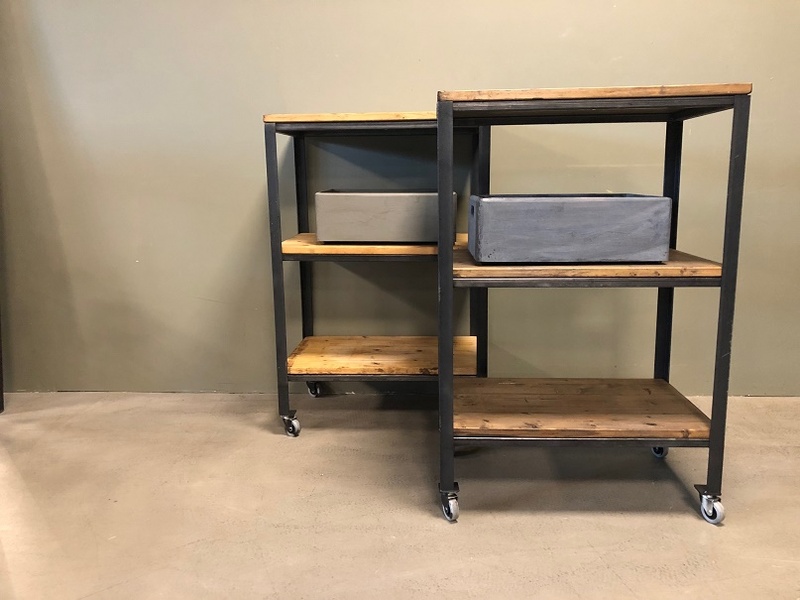 Industrial steel racks with or without wood. 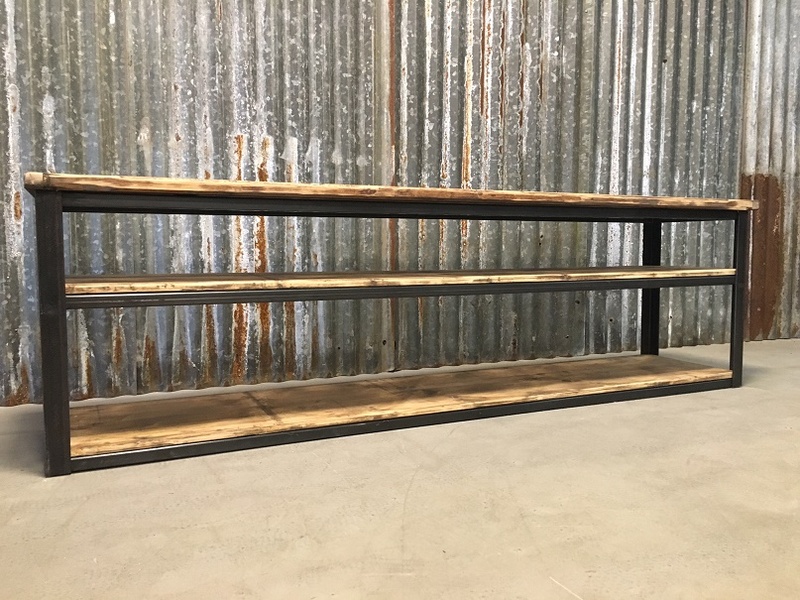 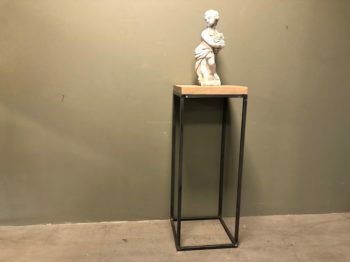 Industrial free standing racks / stands. 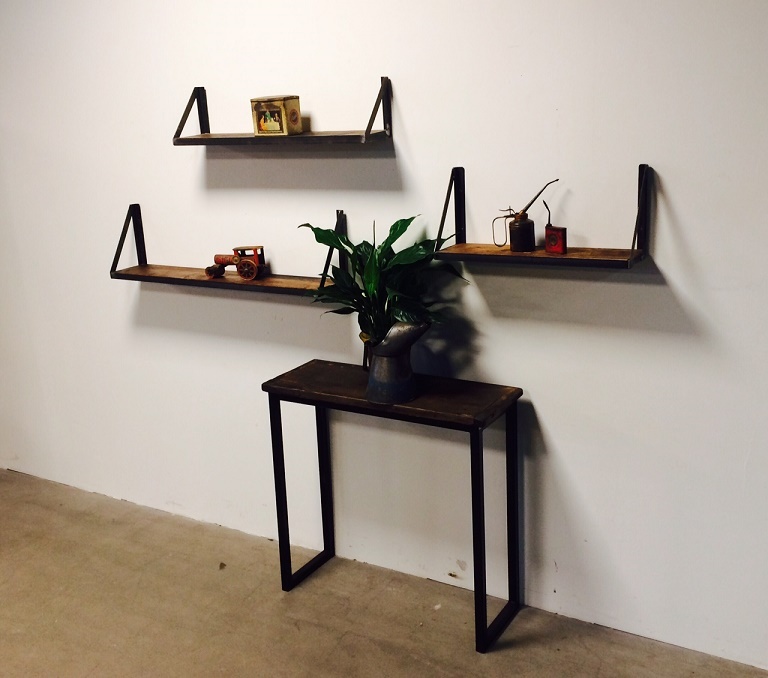 A steel frame, nice rounded steel feet and recycled wooden shelves. 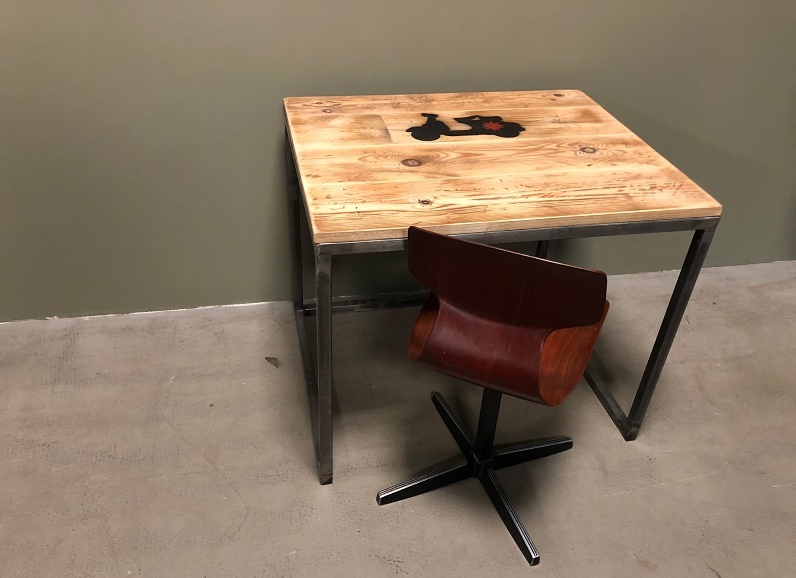 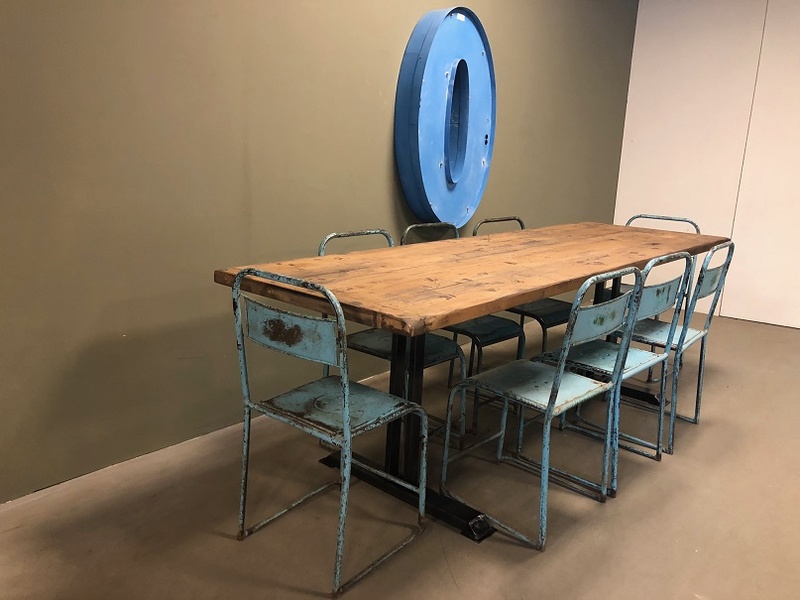 Industrial tables with steel T frame and recycled wooden tops. 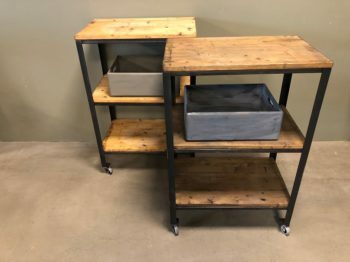 Large kitchen trolleys from recycled wood. 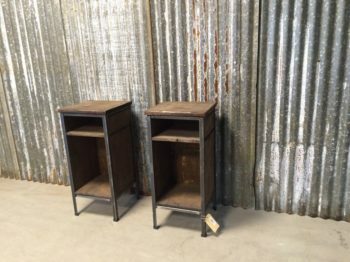 Industrial design pedestals from steel and oak or recycled wood. 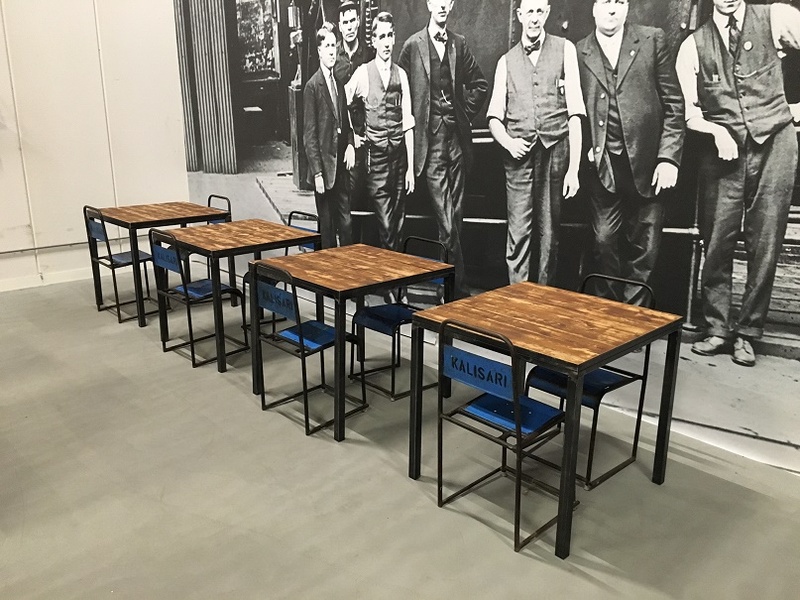 Industrial square small tables with recycled or new wood for commercial use or at home. 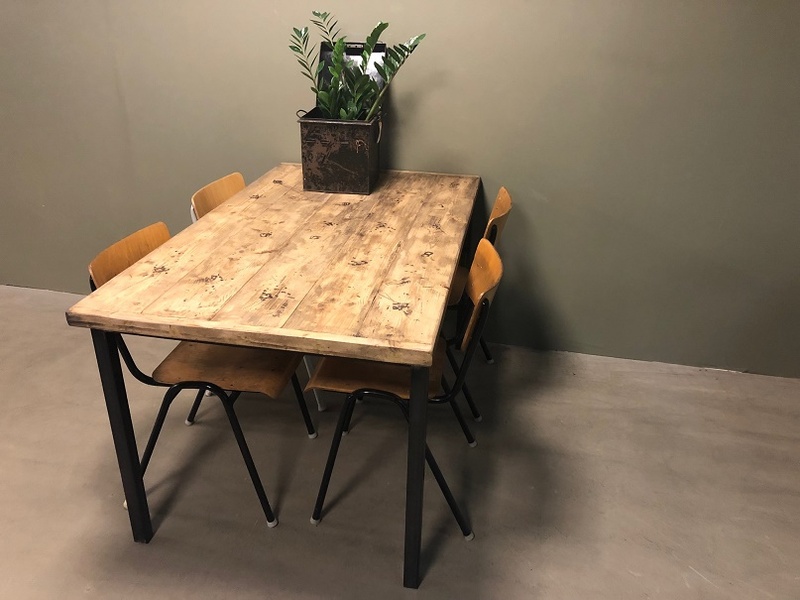 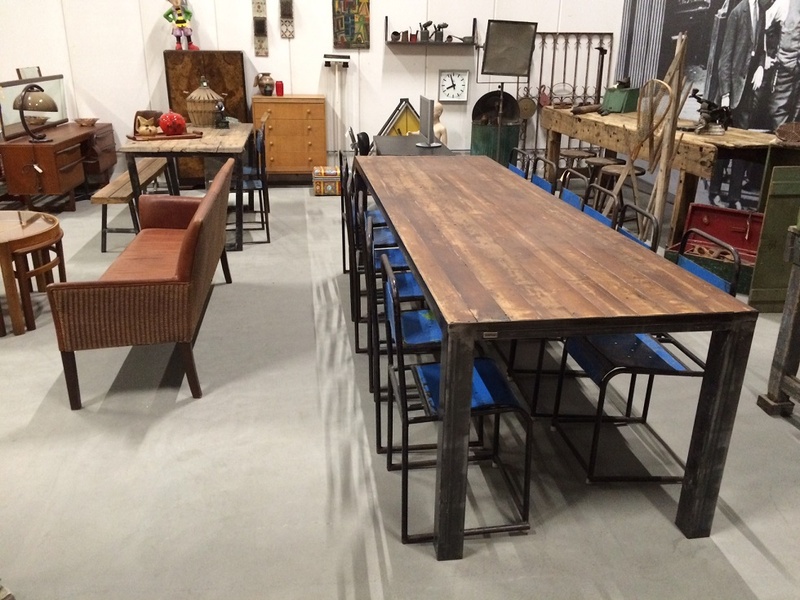 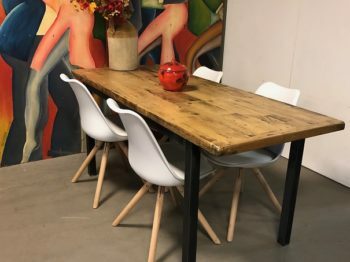 Industrial tables with recycled or new wood in metal frame and single leg. 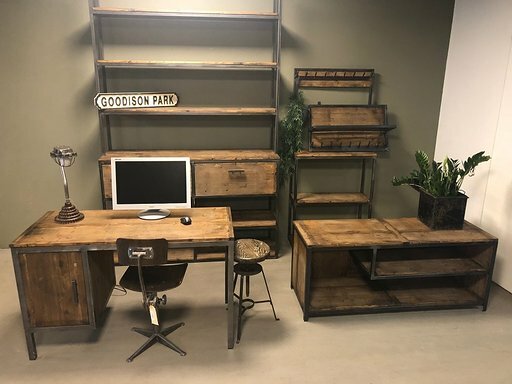 Office sets with desks and matching cupboards. 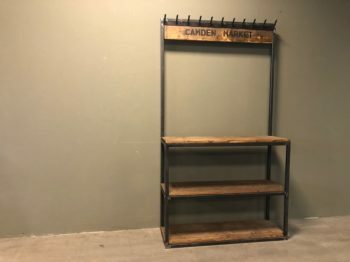 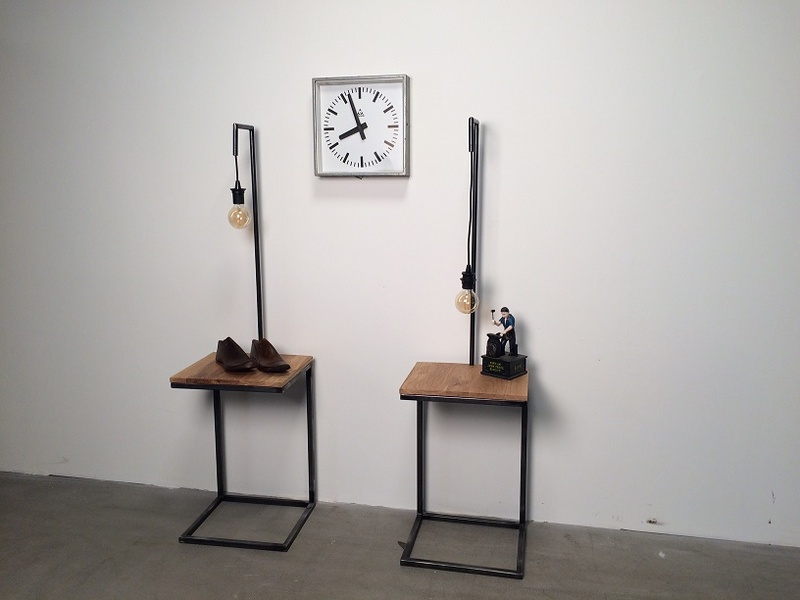 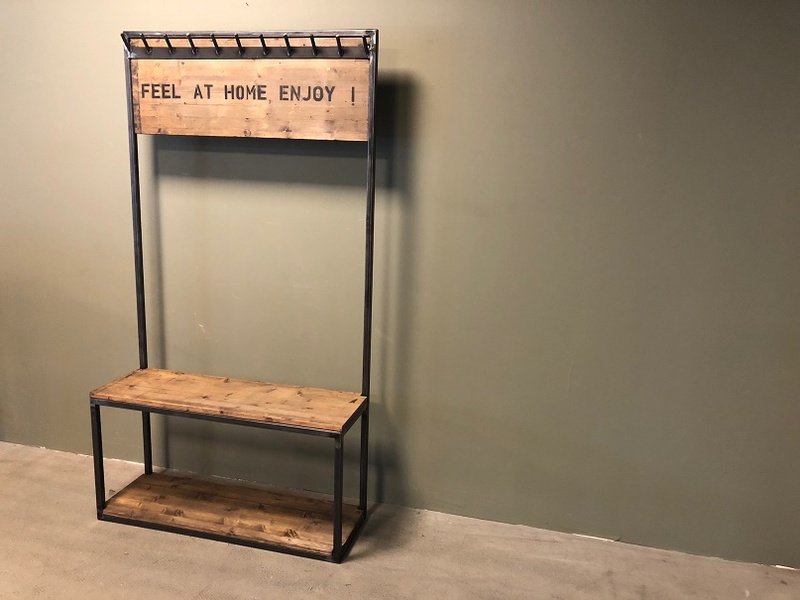 Steel and wooden coat stands with wooden shelve(s) and personal text. 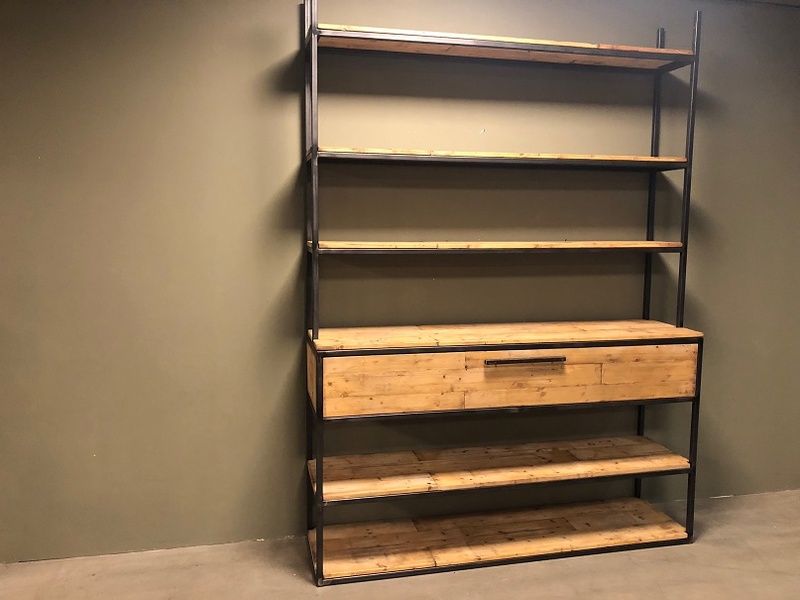 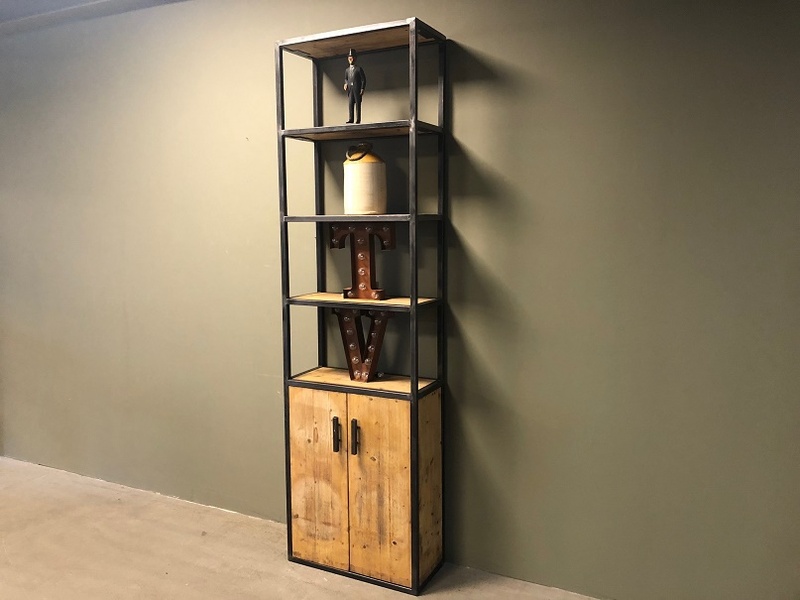 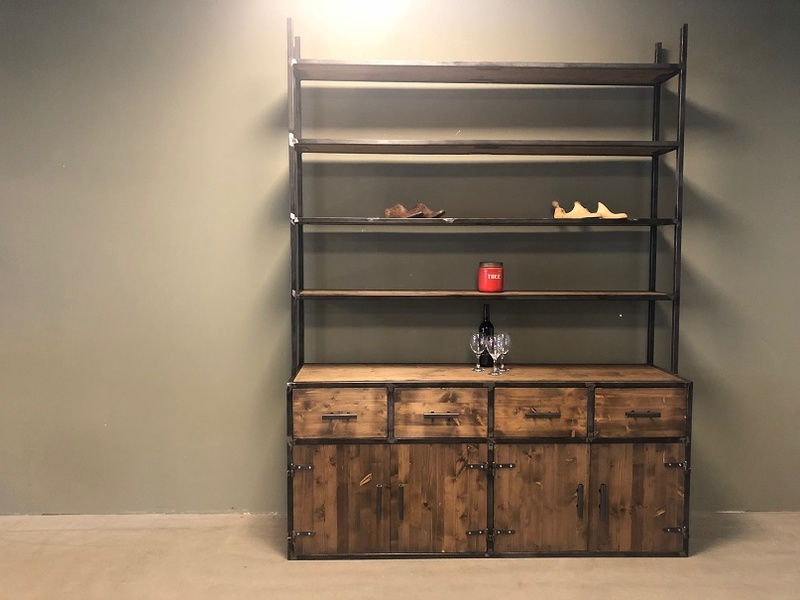 Wood and steel shelving, the shelving can be from new or recycled wood. Tv cuboards with front lid. 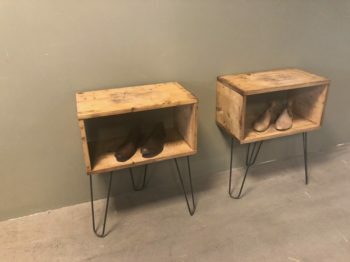 Sidetables with new oak shelves and steel frame. 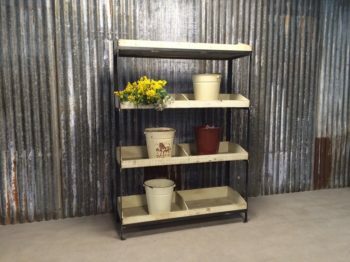 Cupboards with steel frames and recycled or new wooden shelves. 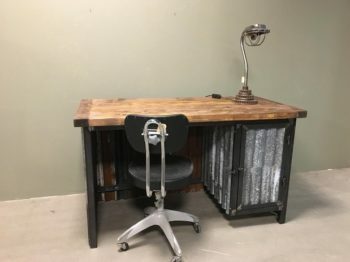 Matching sets of industrial furniture. 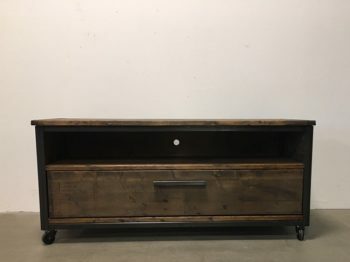 TV cupboards with open compartment en one door. 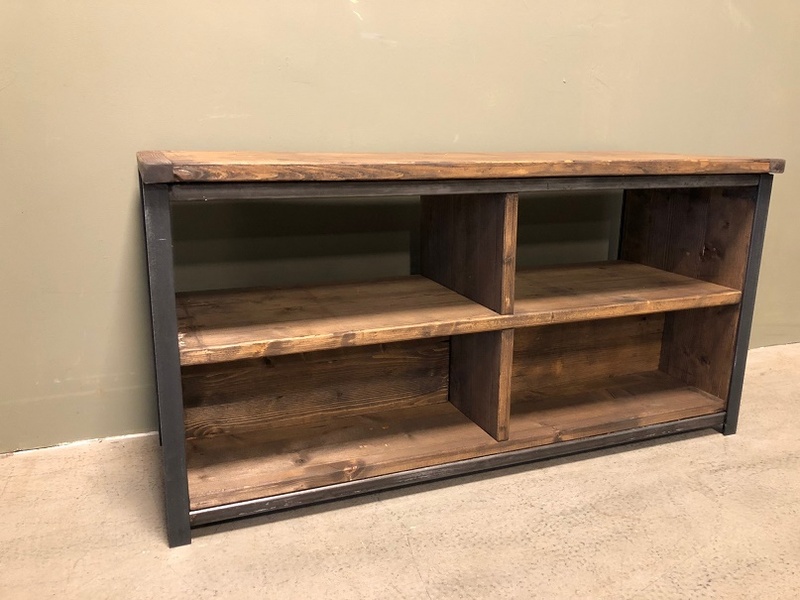 Open model industrial TV cupboards. 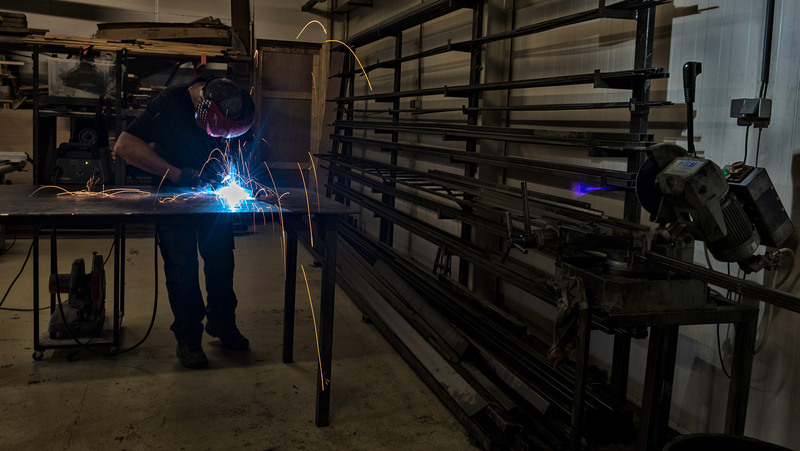 Craftmanship is something that along the years has become less available to the general public. 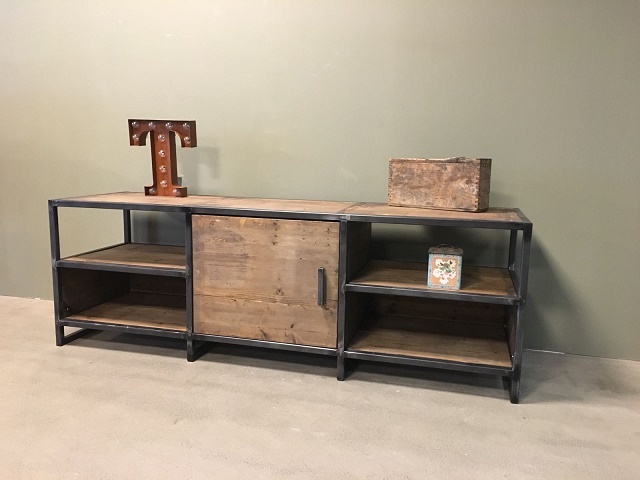 Original hand made quality furniture is what we offer our clients. 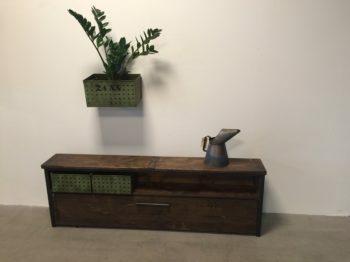 Made in our workplace combining steel and diferente woodtypes, assures our pieces are unique and cater to each customers desire. 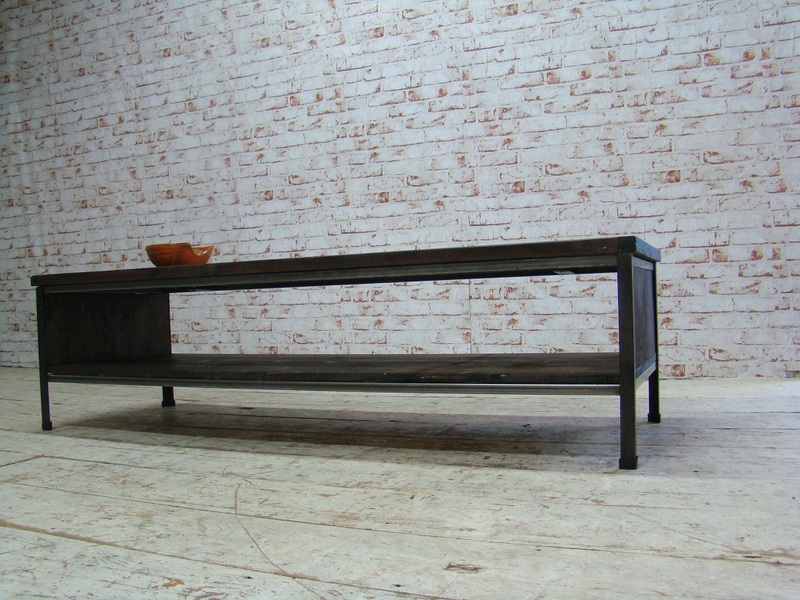 Check out some of our previouse custom made products and be inspired!